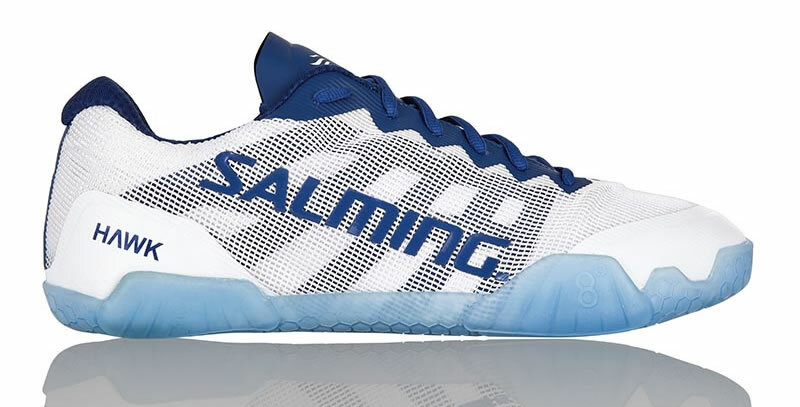 This is the most thorough list of the best women’s and men’s handball shoes for 2018. 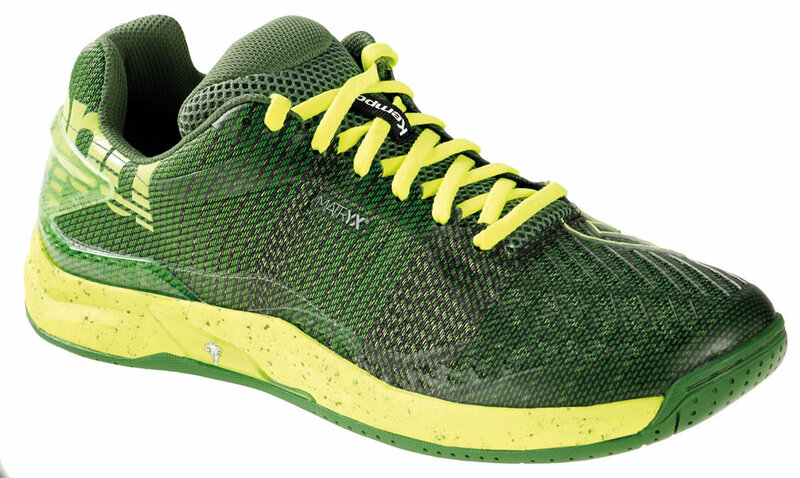 …and how to select the right pair for you. 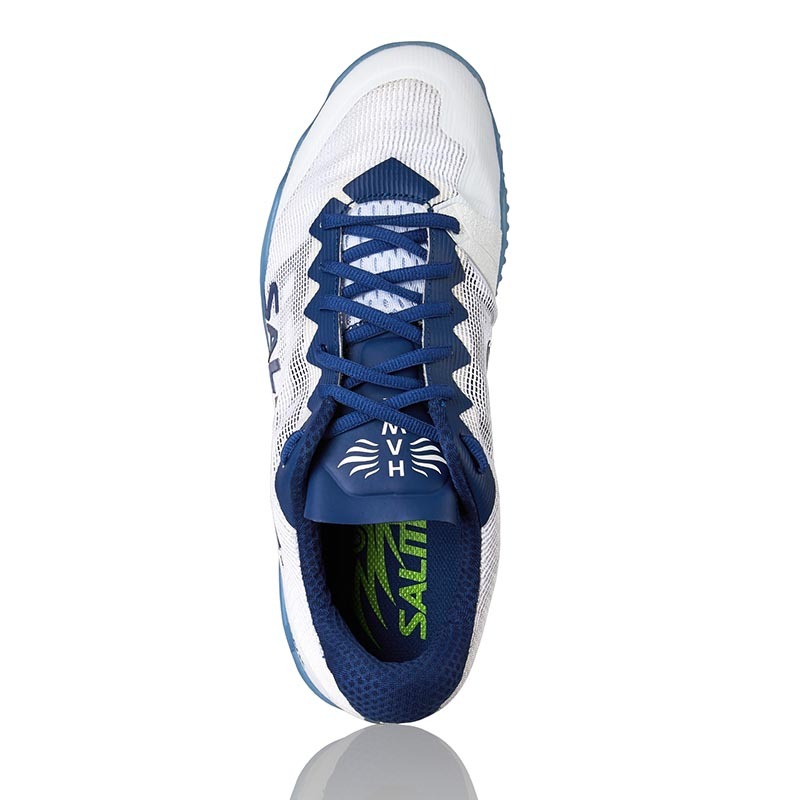 Pronation is a natural movement of the foot that refers to the side-to-side movement of the foot as you walk or run. 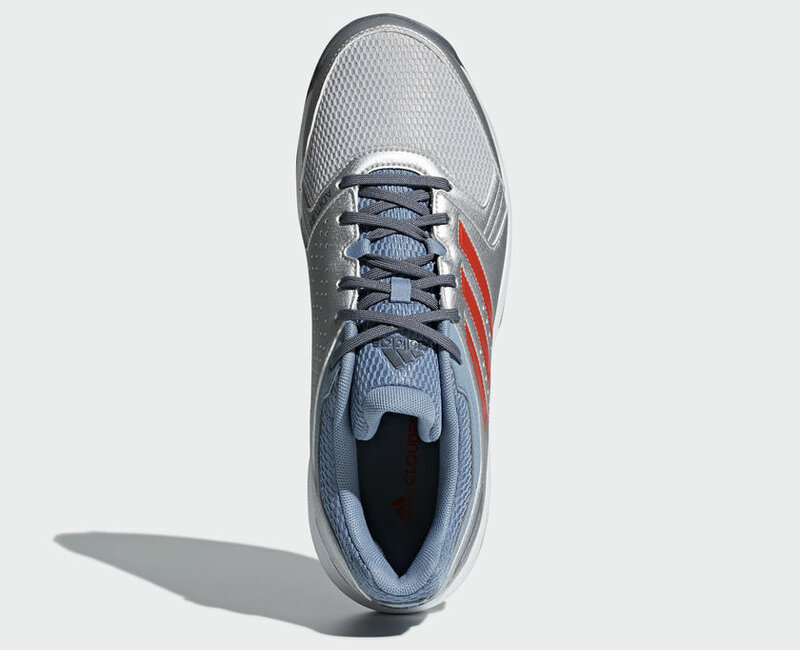 There are three types of pronation: neutral pronation, overpronation, and underpronation. 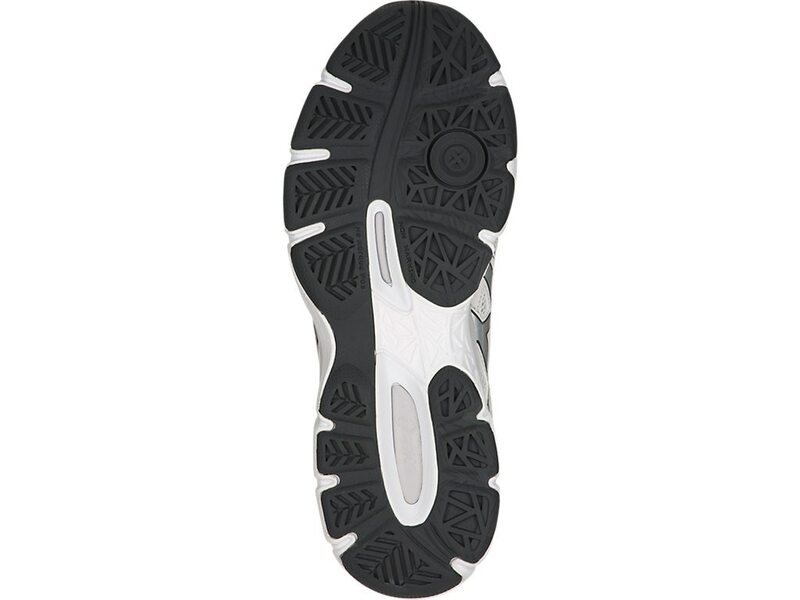 To determine what category you belong to, you need to analyze your footprint. 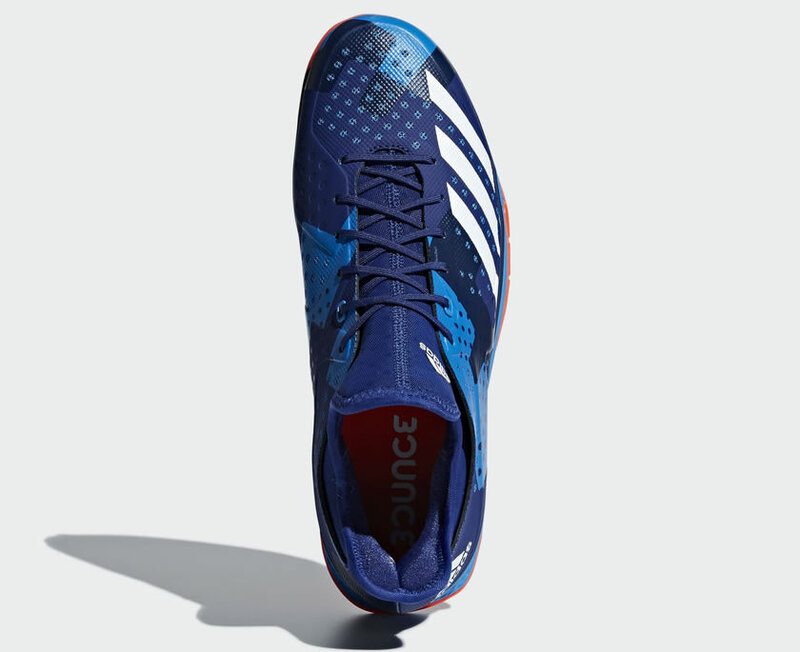 In this sport, the right pair of shoes need to ensure you freedom of movement, breathability, stability, and support, while allowing you to suddenly stop, jump, kick legs, and change direction quickly. 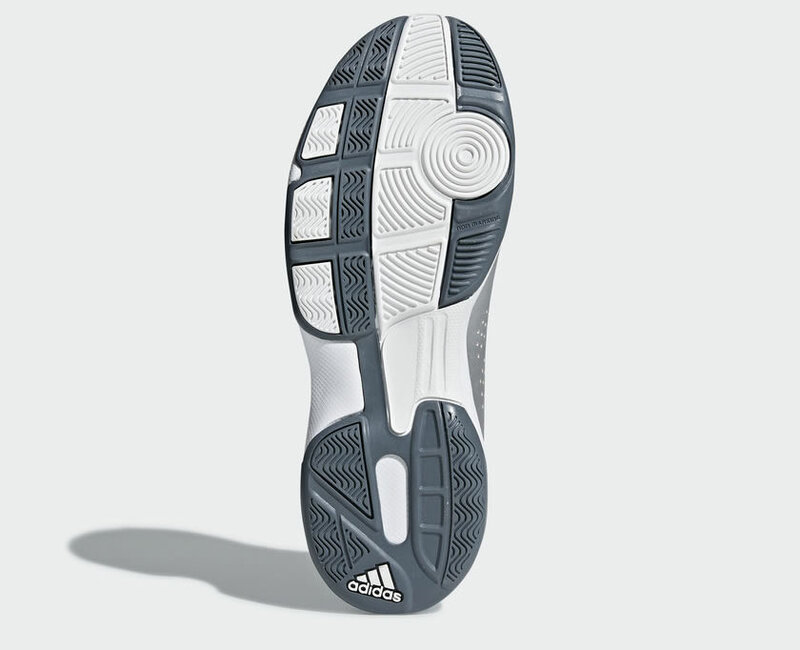 That’s why players should look for extra durable shoes with outsoles that can withstand the friction. 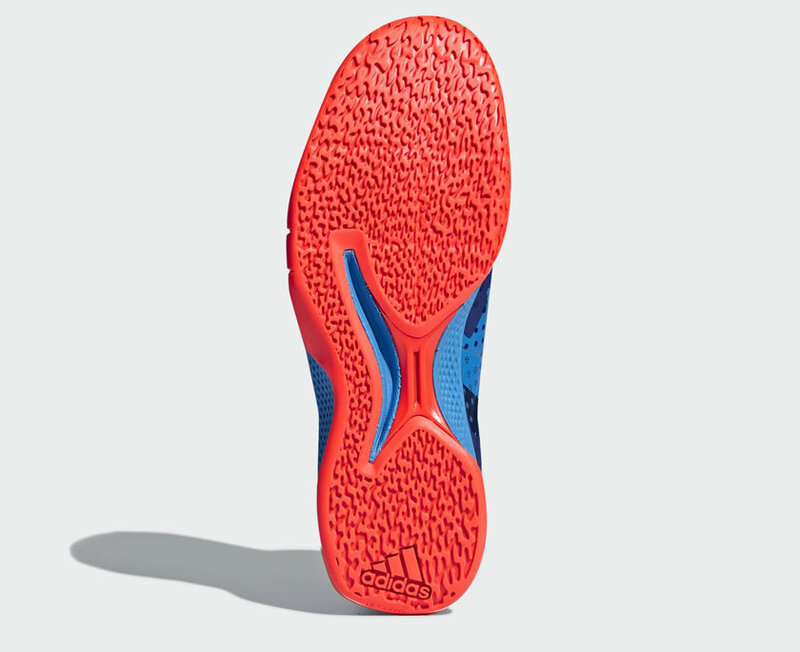 The shoe must be as light as possible in order to help you make the necessary running and jumping movements during the game. 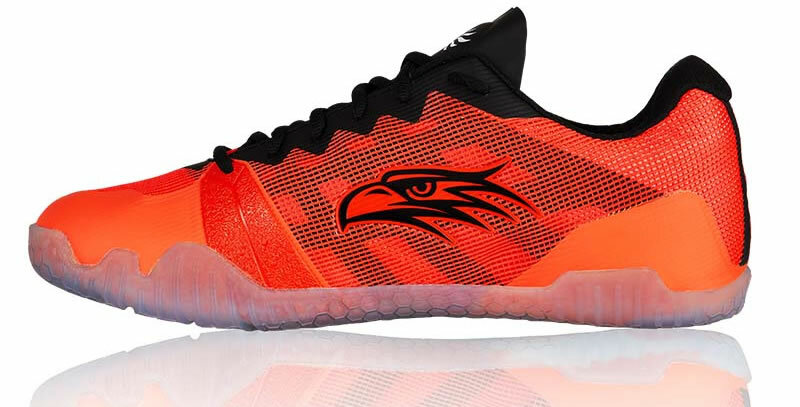 Handball shoes are generally made of textile fabric – synthetic mesh that ensures flexibility, breathability, low weight, but also maximum support. 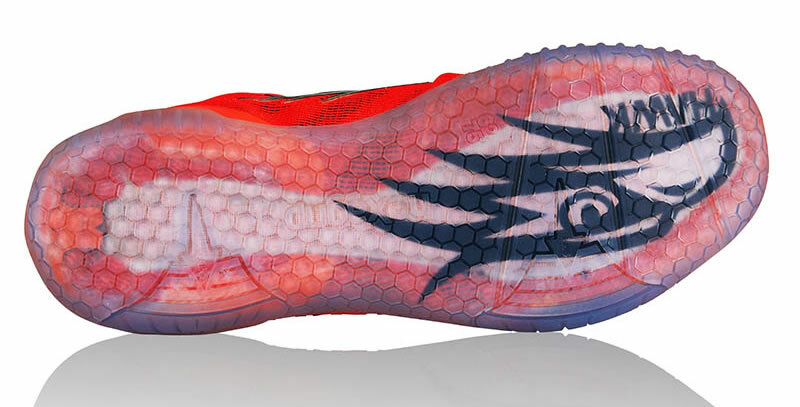 Because this sport requires high jumps and fast moves in all directions, the sole must be able to absorb impact. 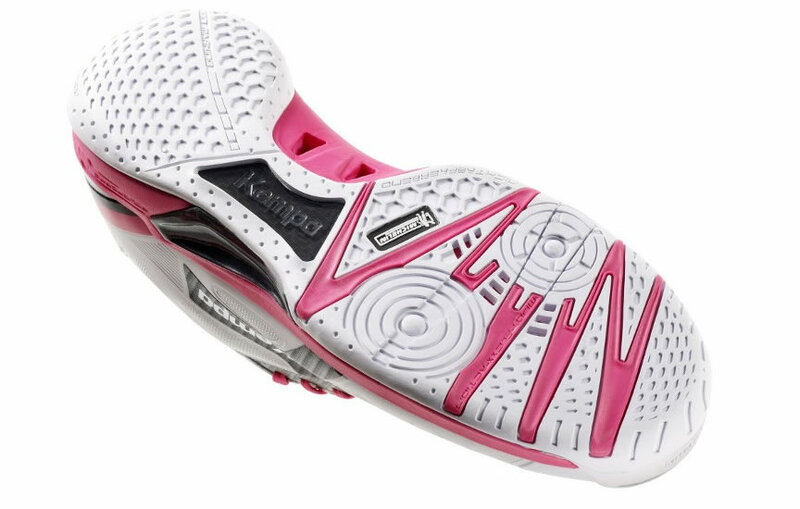 A good amount of cushioning will protect your feet from painful impacts. 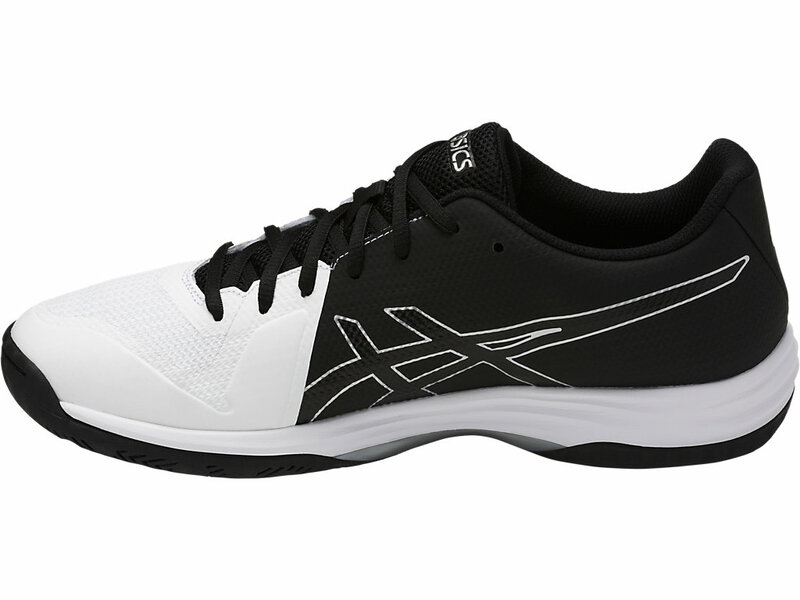 Make sure the size and fit will be right for your feet – an optimal match is the essential aspect in achieving performance. 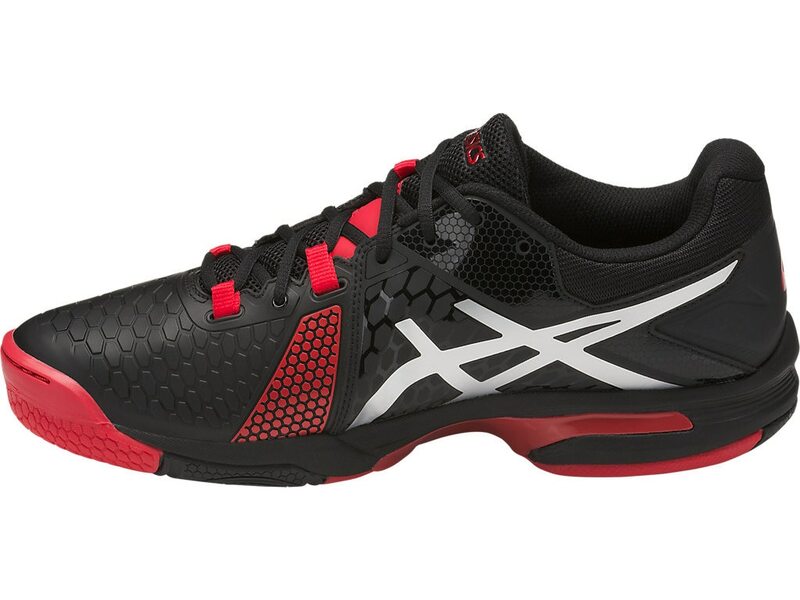 In the case of an online order, you need to know how to choose the right size. 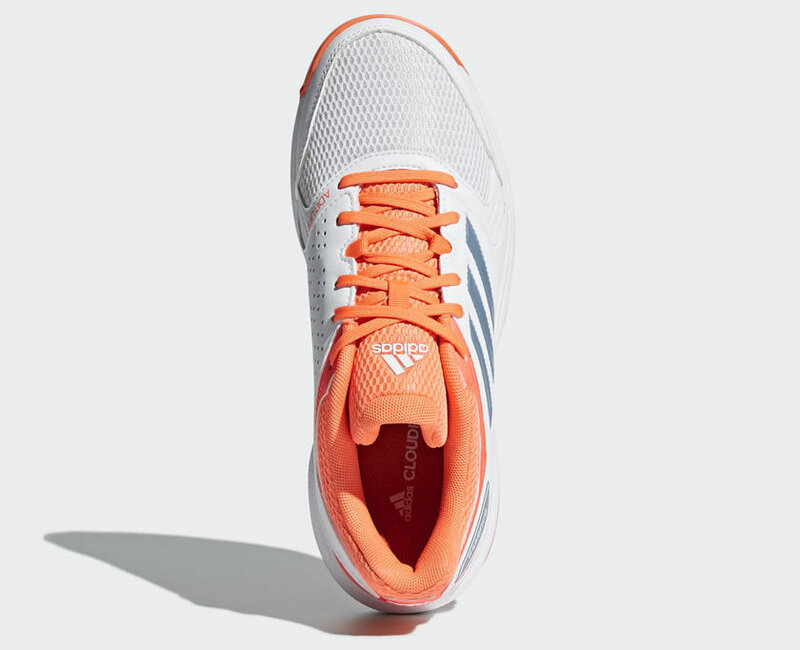 You can select the right pair by measuring your foot. 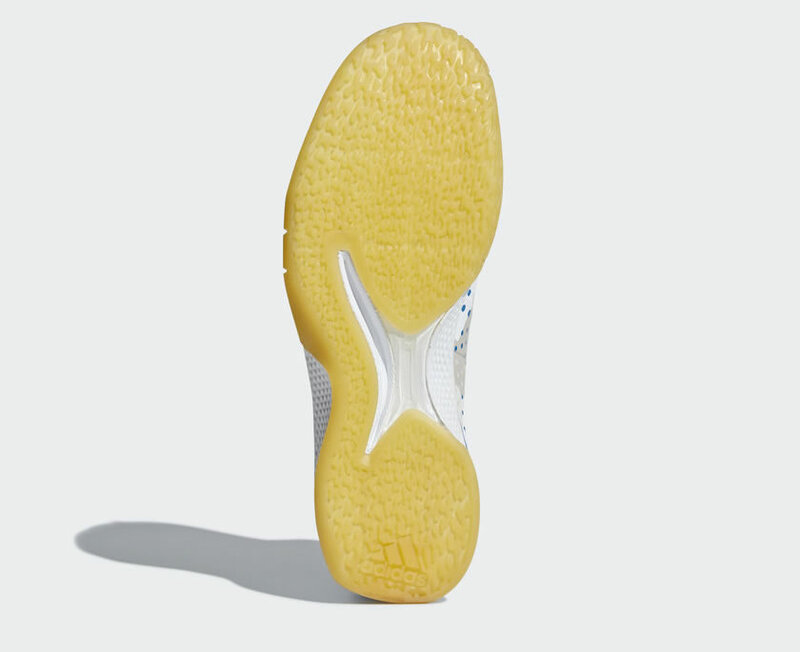 Put your foot on a sheet. 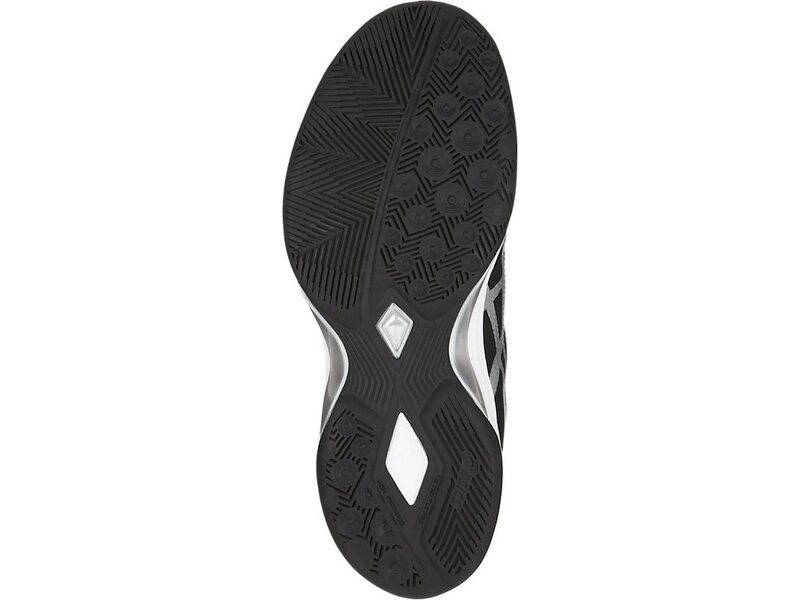 Draw a horizontal line from the tip of the thumb and one parallel to this fixed line to the highest point of the heel. 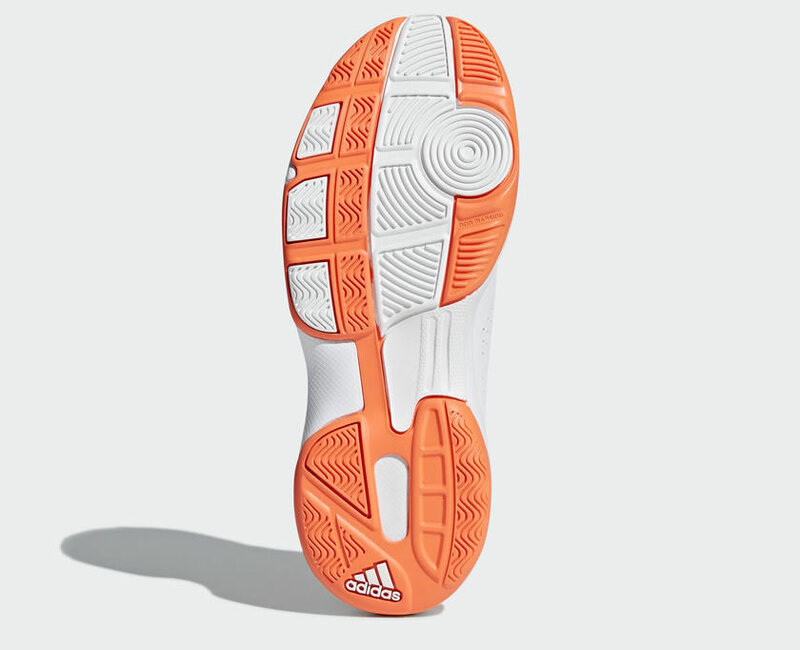 You need to compare this measure (in cm) to the product size. 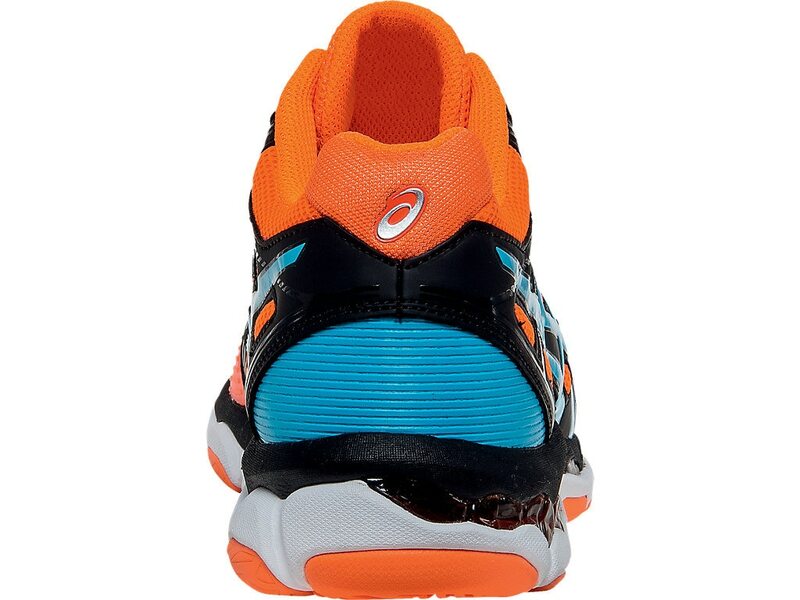 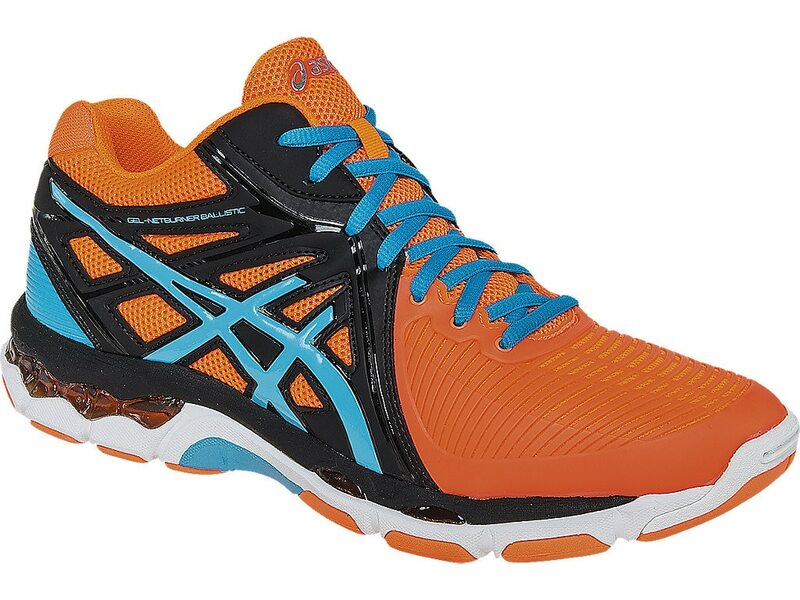 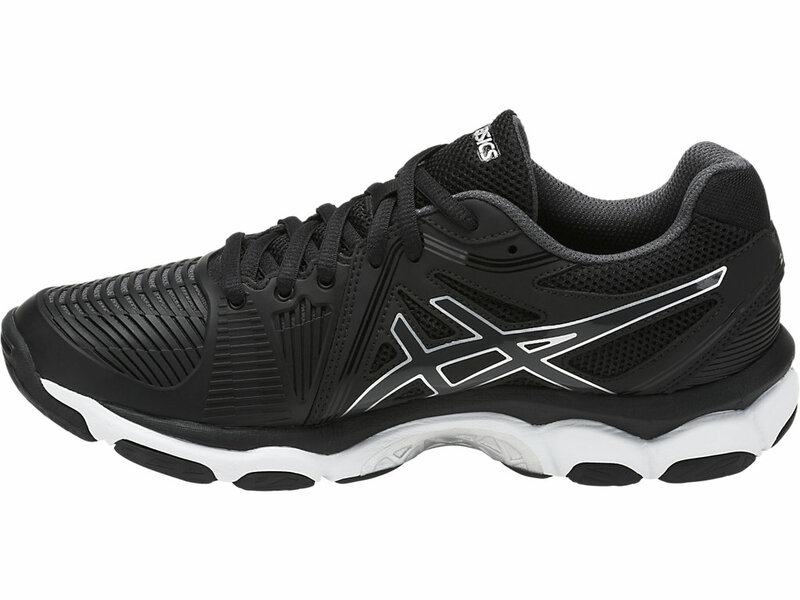 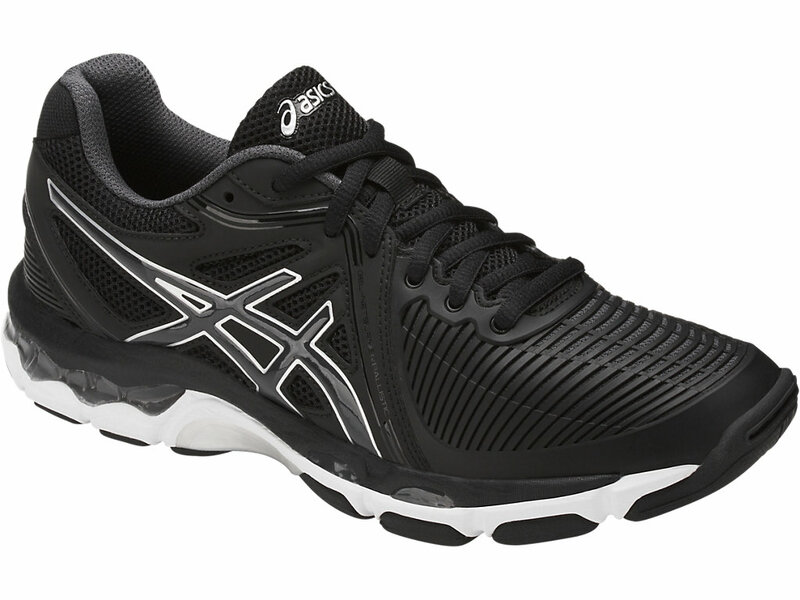 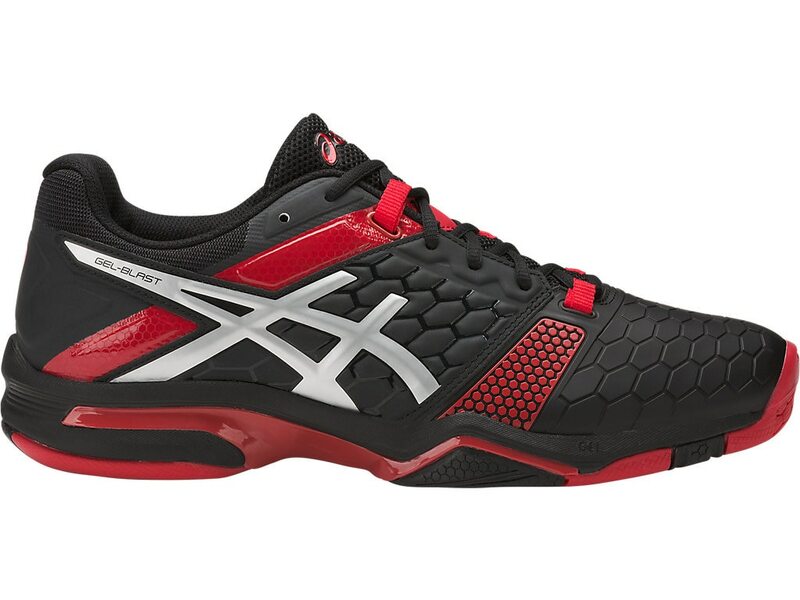 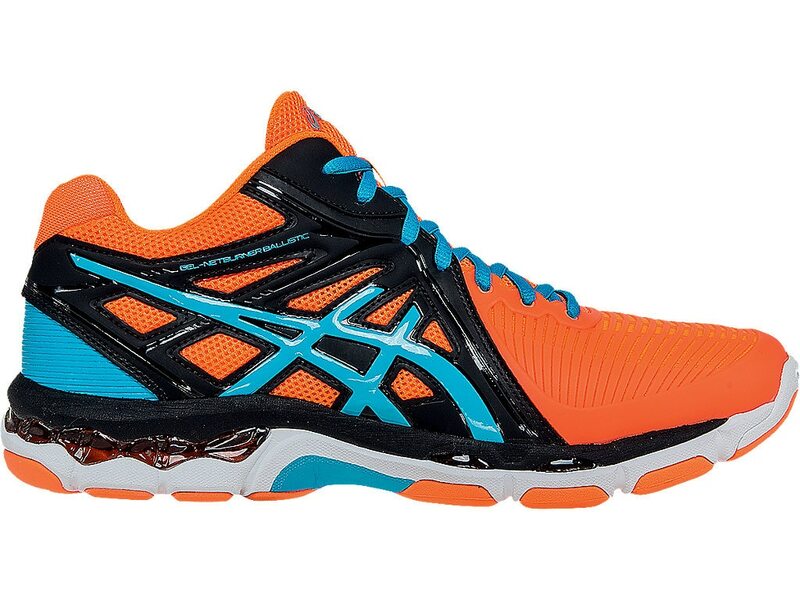 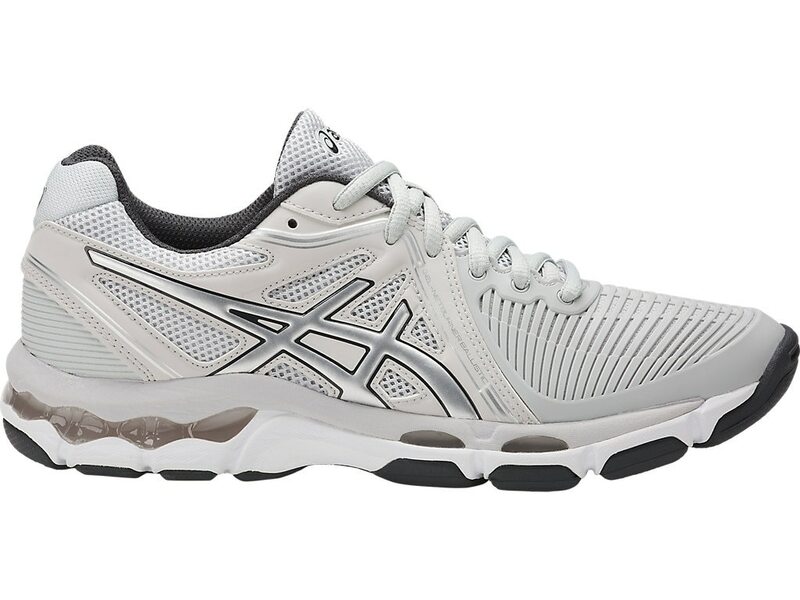 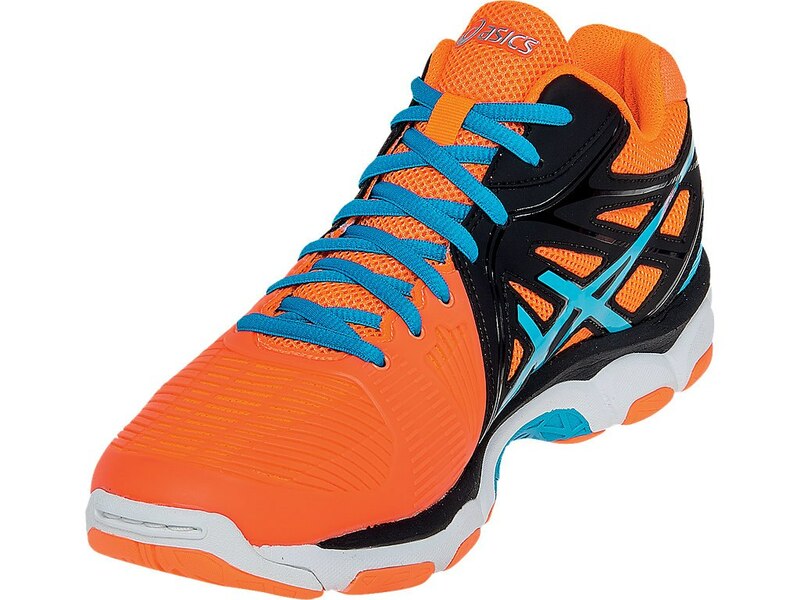 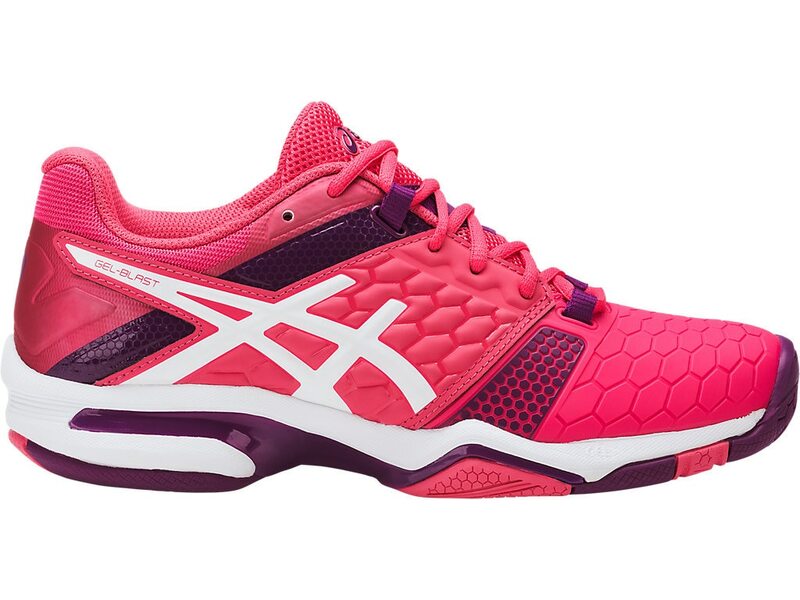 The Asics Gel-Blast 7 handball shoes are designed with two things in mind: comfort and performance. 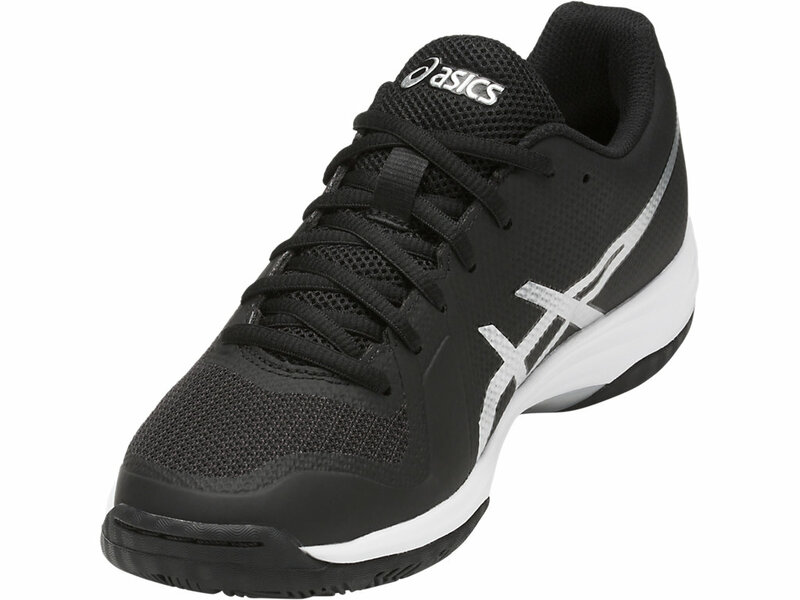 The solid rubber outsole and the ASICS famous GEL cushioning in the fore root and the rear foot offer maximum cushioning and shock-absorption. 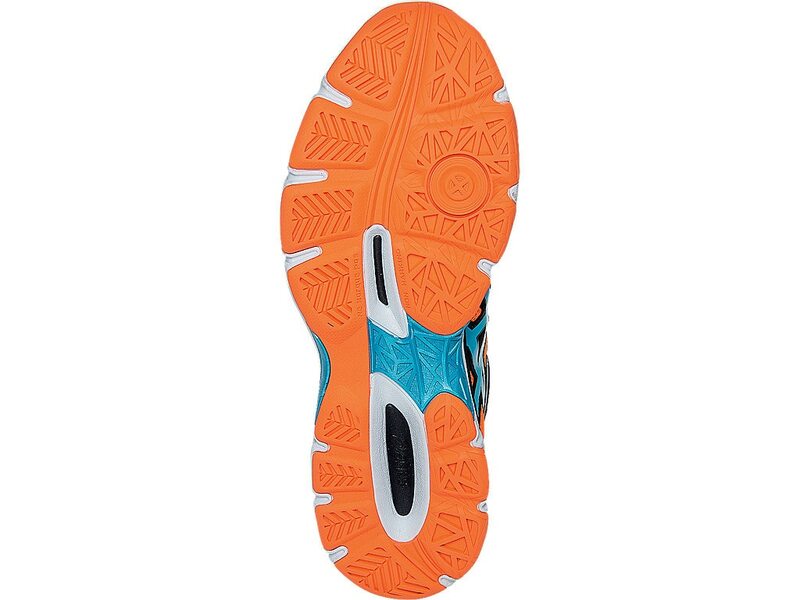 The PU materials ensure breathability, as well to keep your foot dry during intense play. 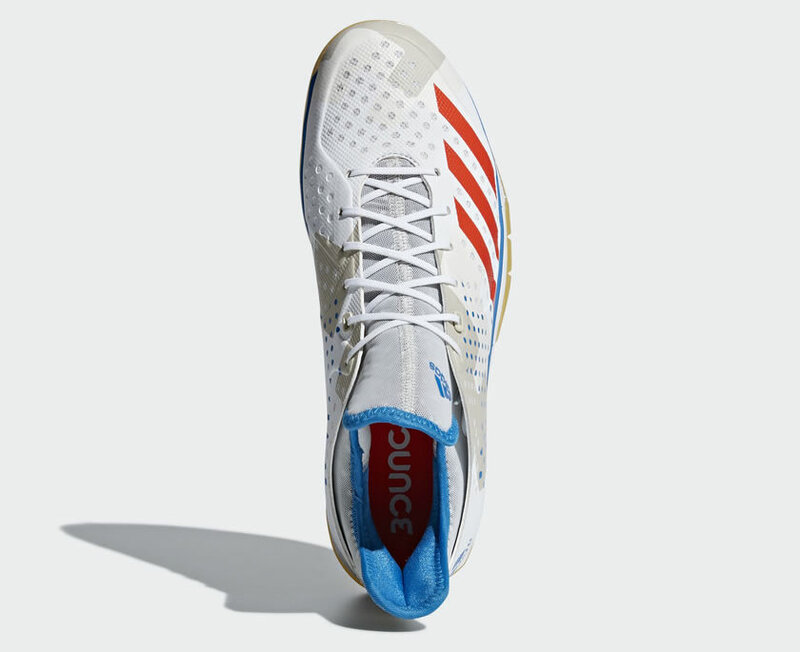 The shoe’s 10mm heel drop keeps your foot in the most natural position, while the dynamic wrap support system provides a great fit. 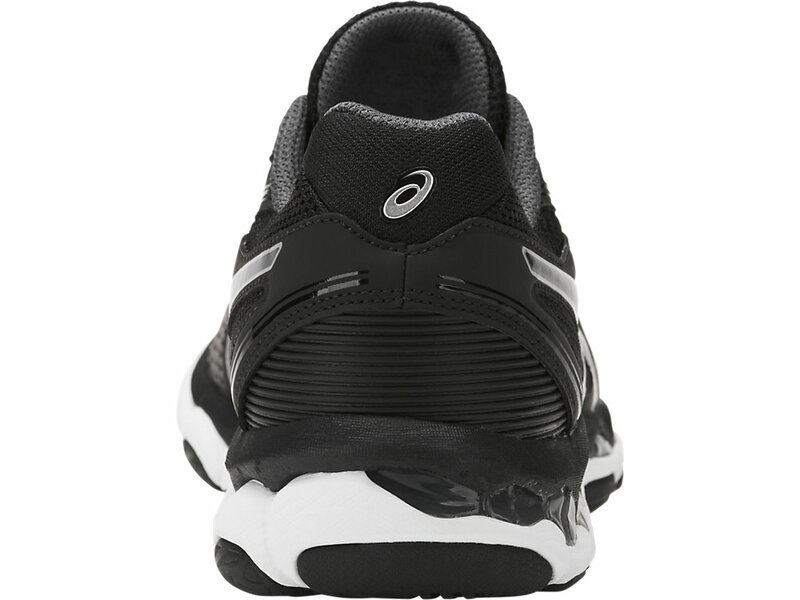 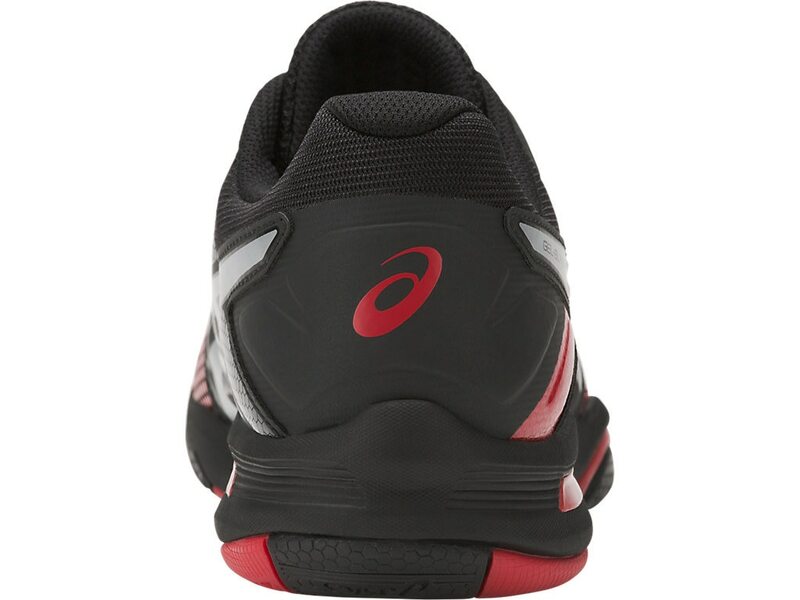 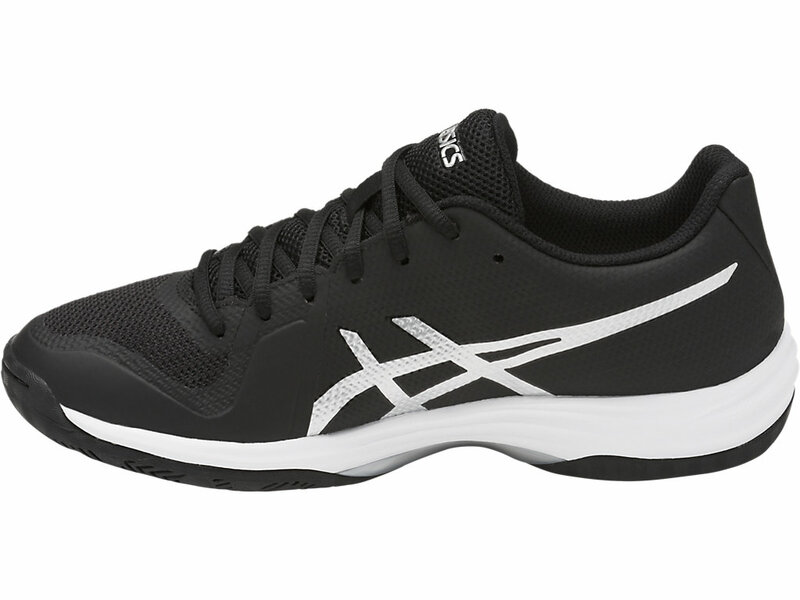 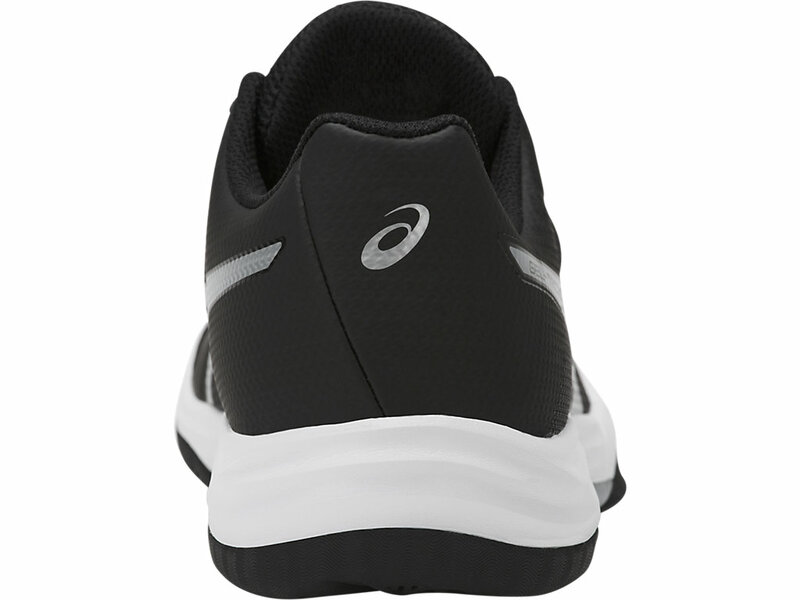 Weighing in at just 285g, these Asics handball shoes are available in wide sizes, so you don’t have to worry. 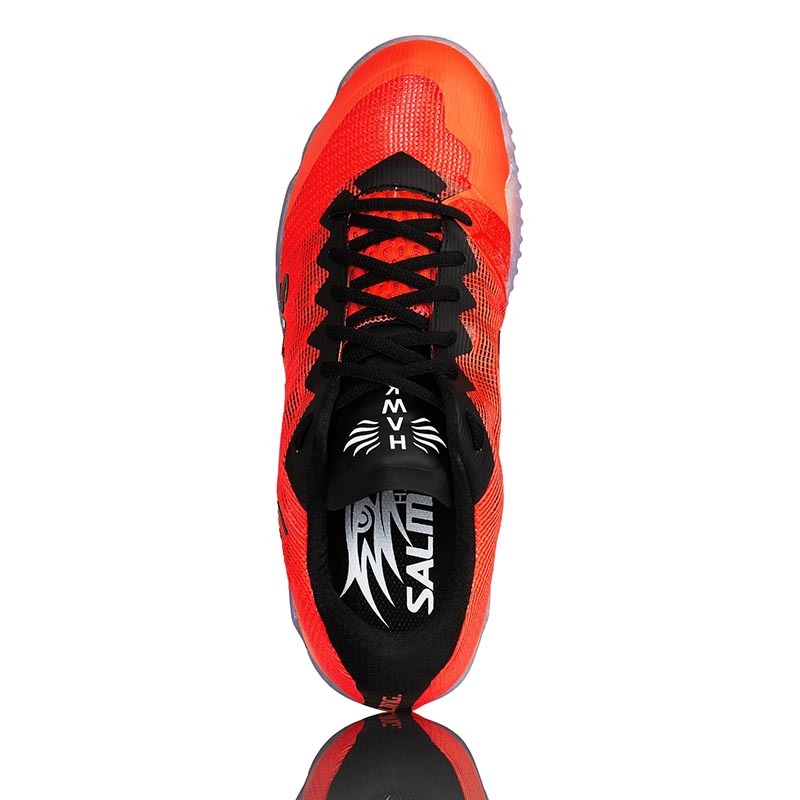 The Hawk handball shoe by Salming is made to perform. 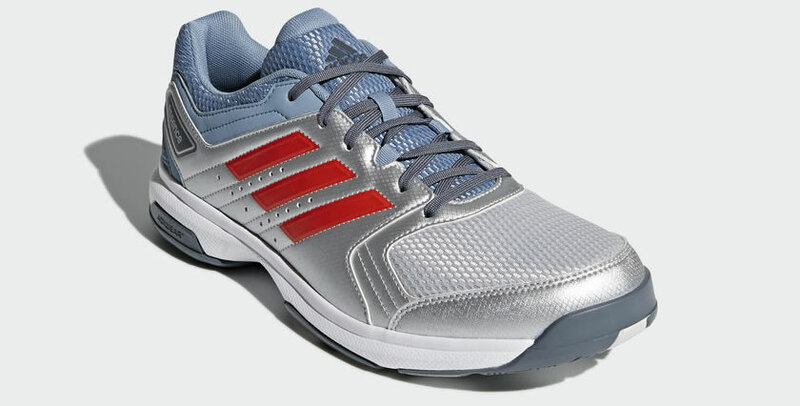 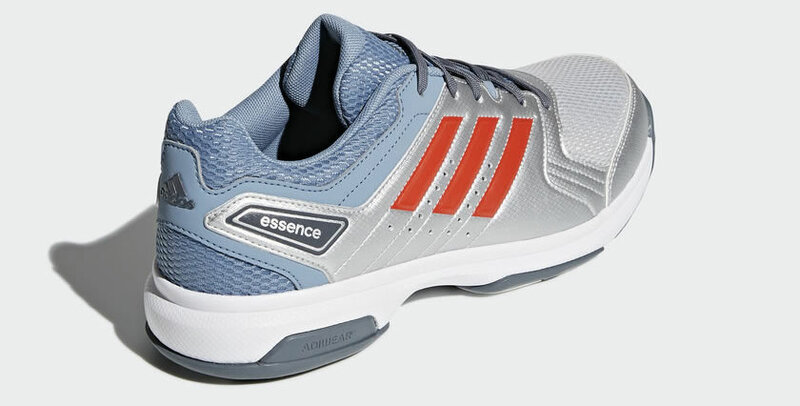 With the utmost engineering from ExoSkeleton inner cage for an excellent support to Torsion Guide System for stability, these shoes provide an unequalled performance. 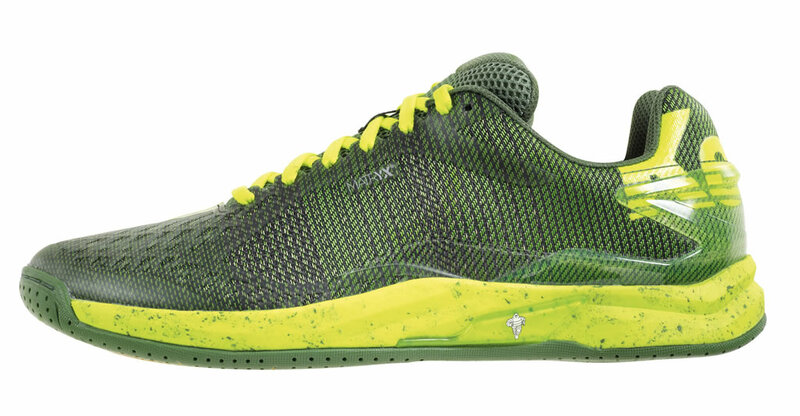 The breathability is ensured by the mesh upper, while the new midsole Recoil ERF – Energy Rebound Foam absorbs the impact and release the energy into the shoe. 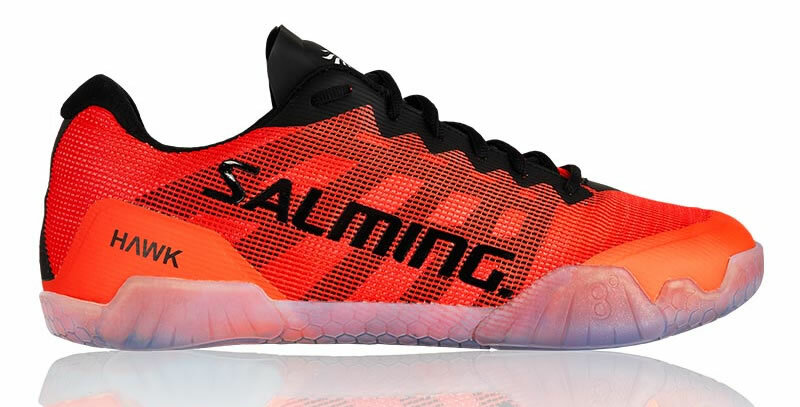 Finally, this Salming handball shoe was made with a HexaGrip pattern for superior traction while still delivering enough mobility. 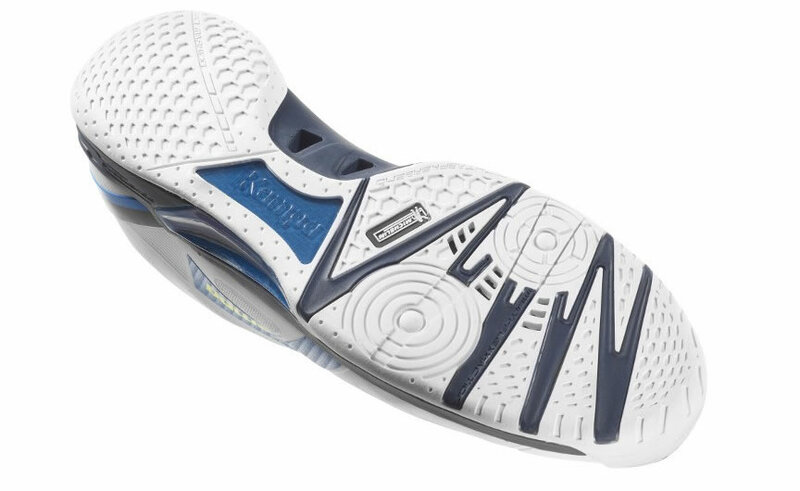 The Attack One Contender handball shoes by Kempa are made from an innovative woven fabric that contains polyamide and Kevlar based fibres. 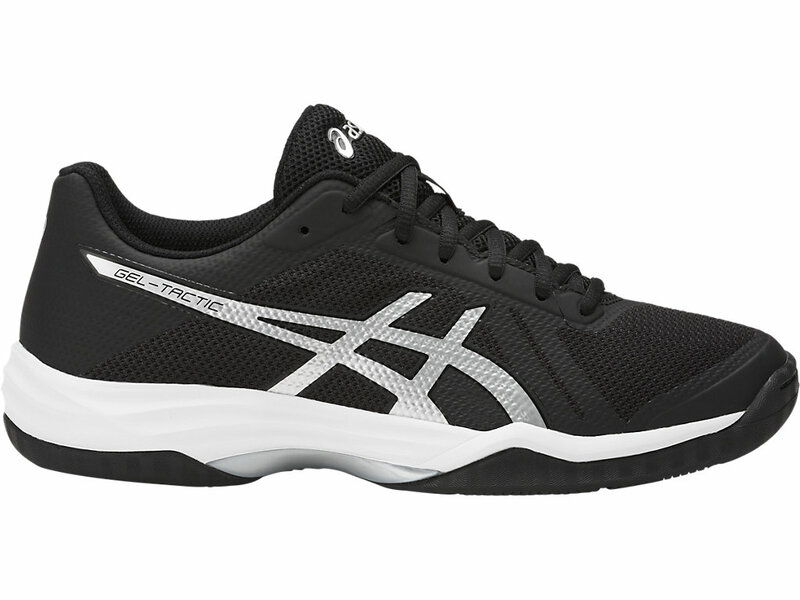 Featuring an injected torsion element for power and stability and a MICHELIN outsole for best grip, these shoes are perfect for the toughest handball matches. 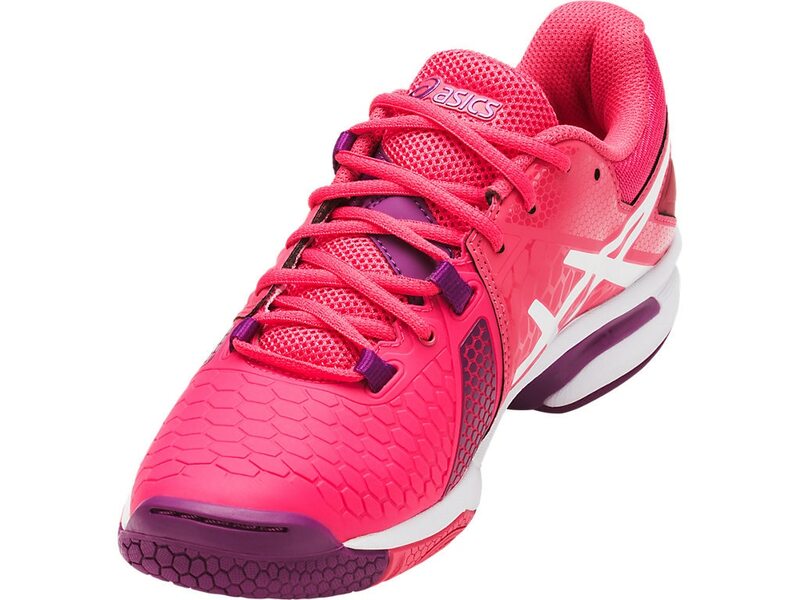 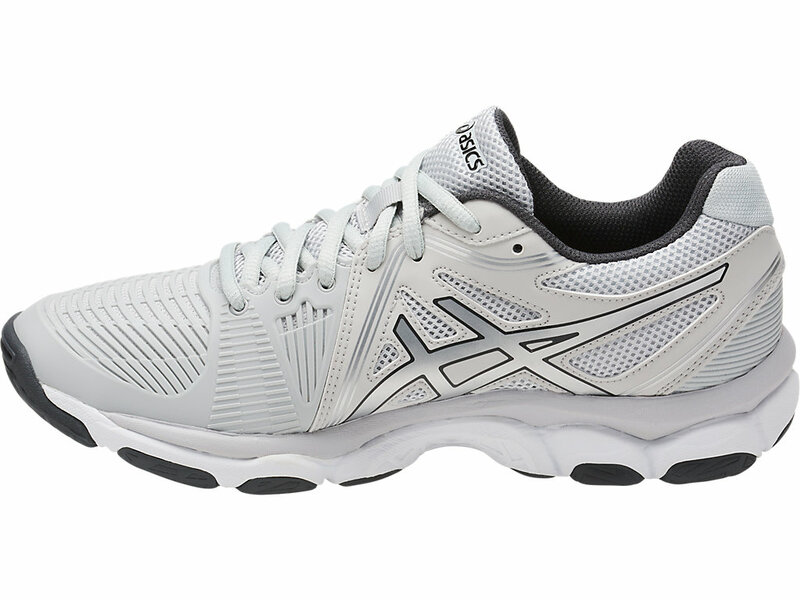 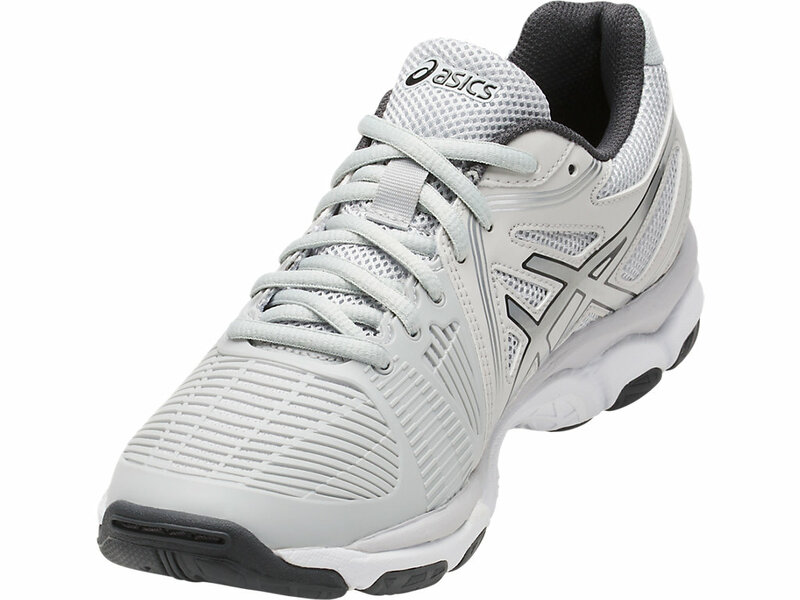 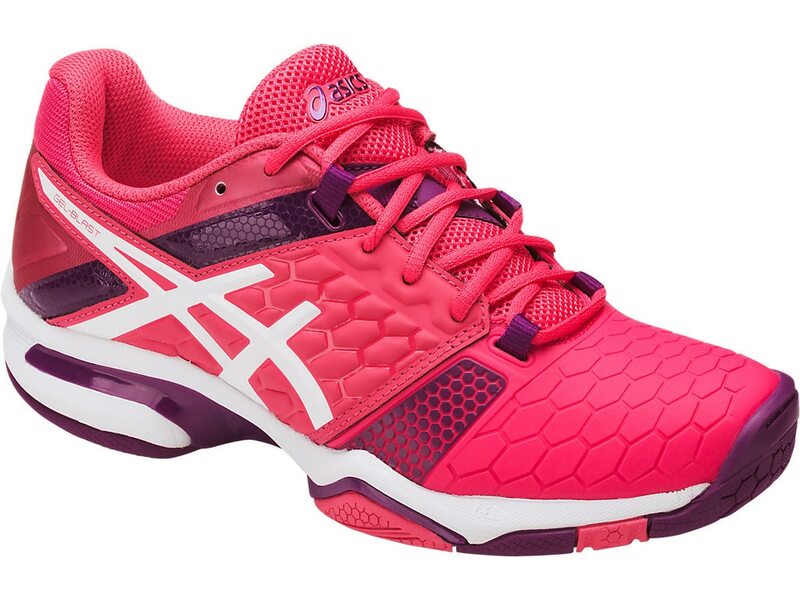 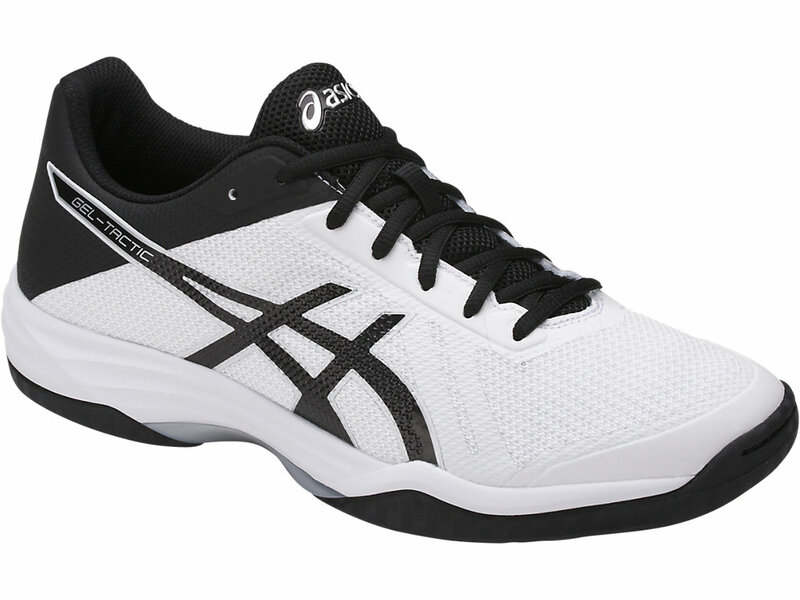 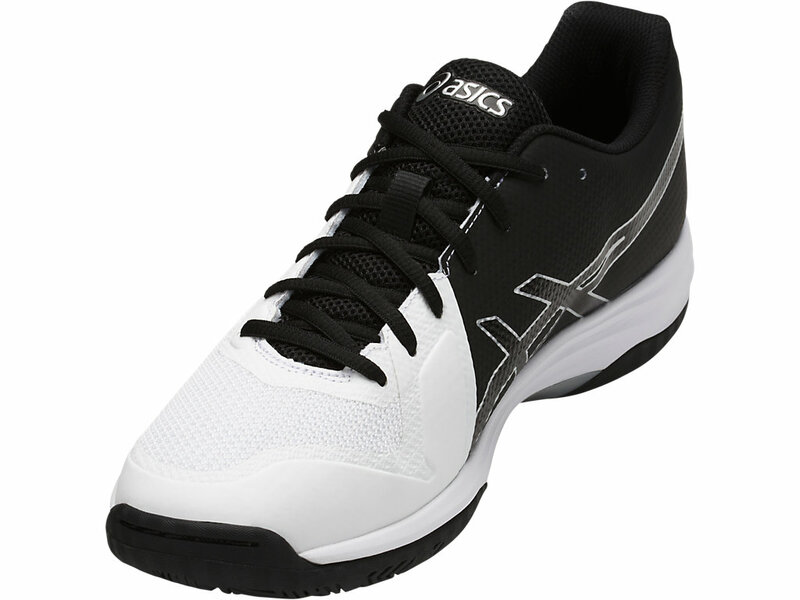 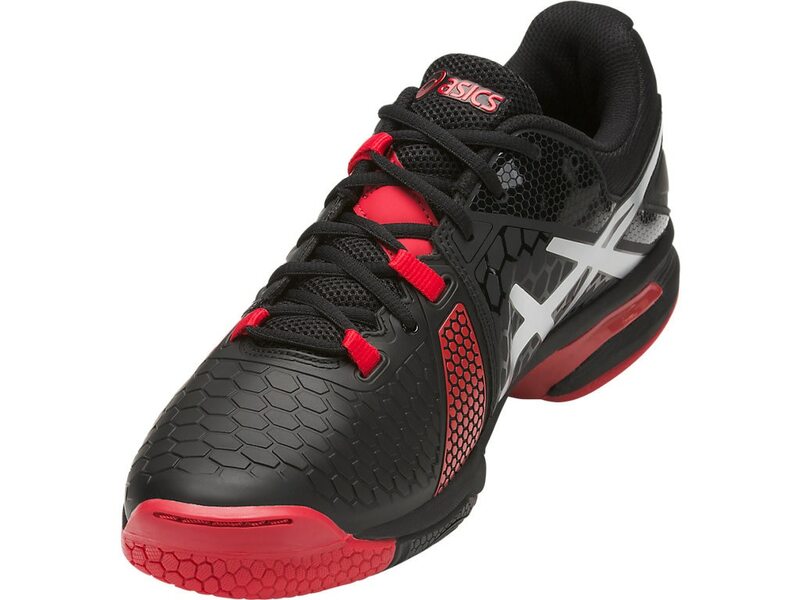 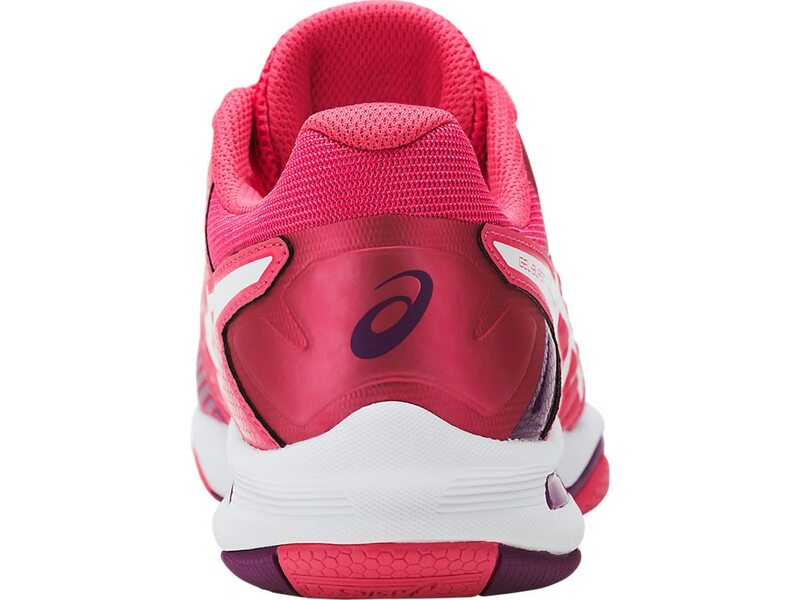 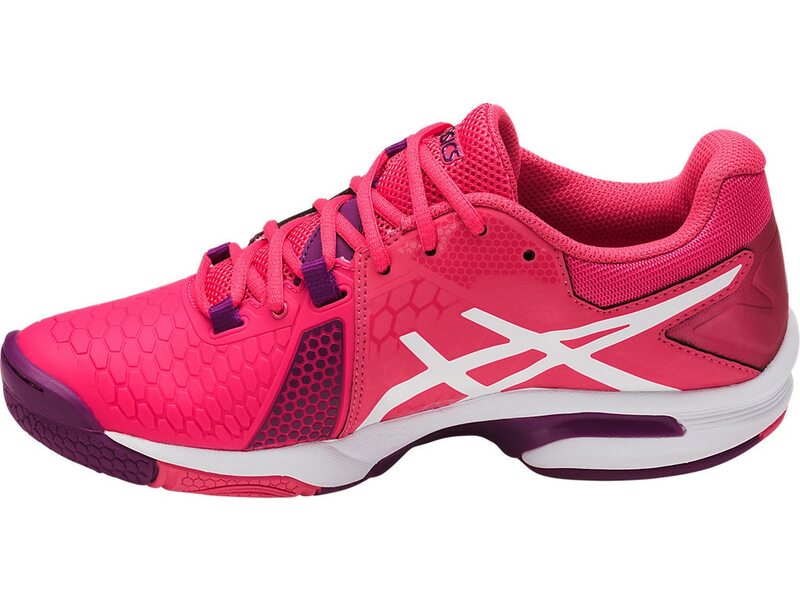 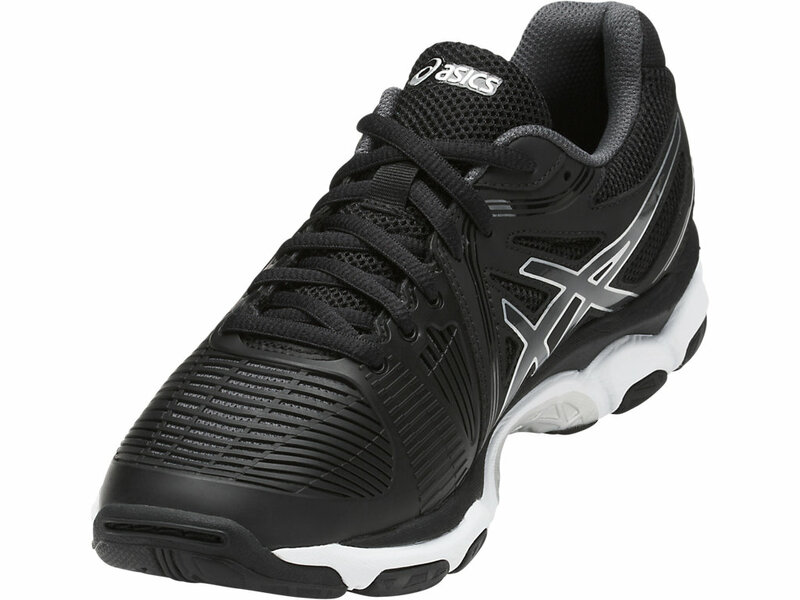 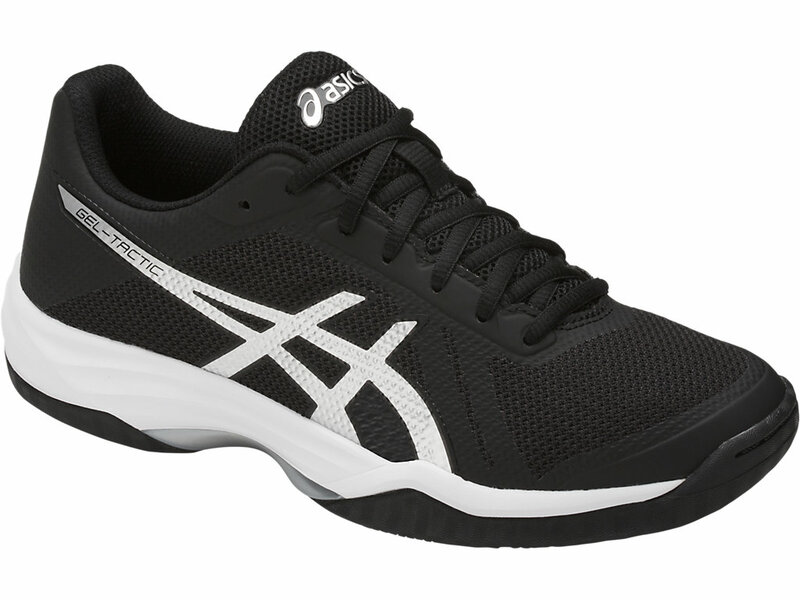 This pair of women’s handball shoes by Asics is intended for both amateurs and those who want to get the best results from this sport. The shoe’s structure is made in accordance with the Trusstic System technology, which reduces the weight of the sole unit while retaining the structural integrity. 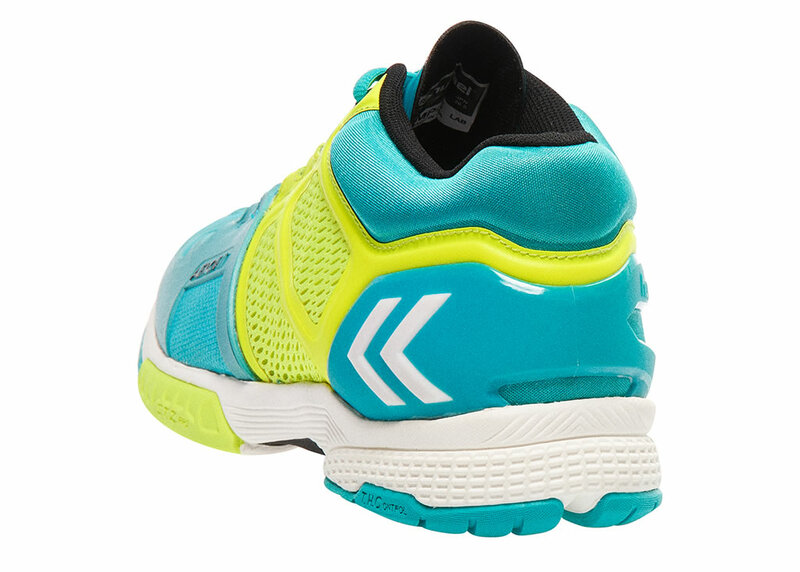 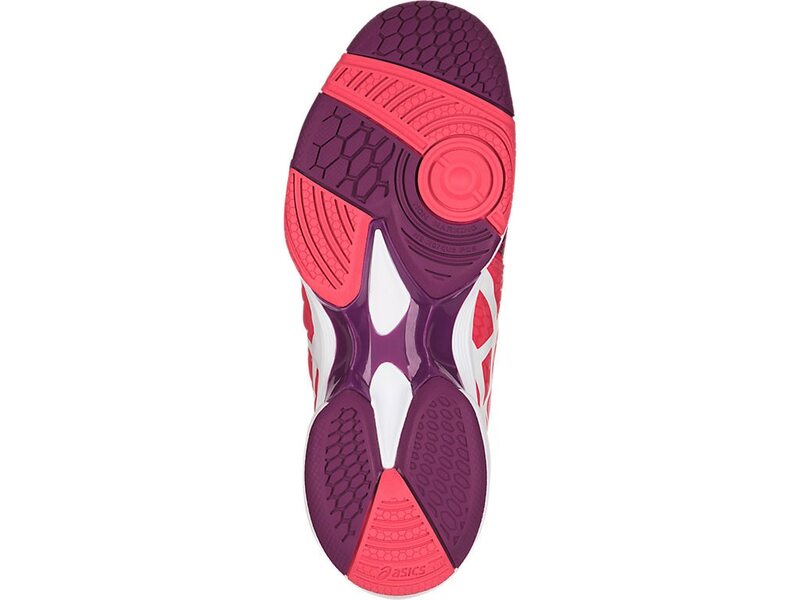 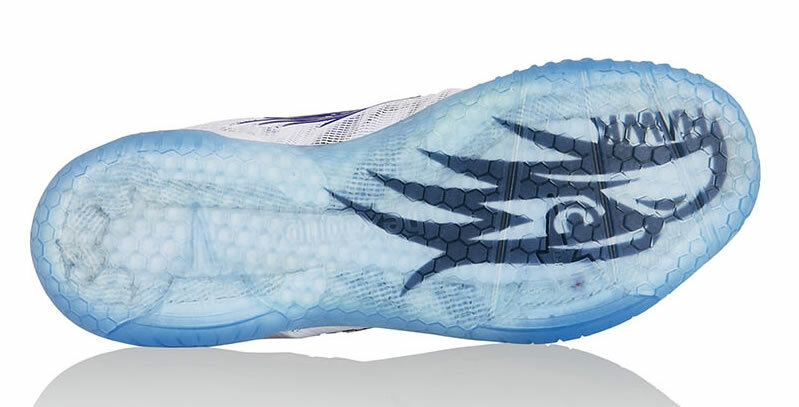 The FluidRide midsole offers amazing cushioning while protection your feet from frequent jumping and running. 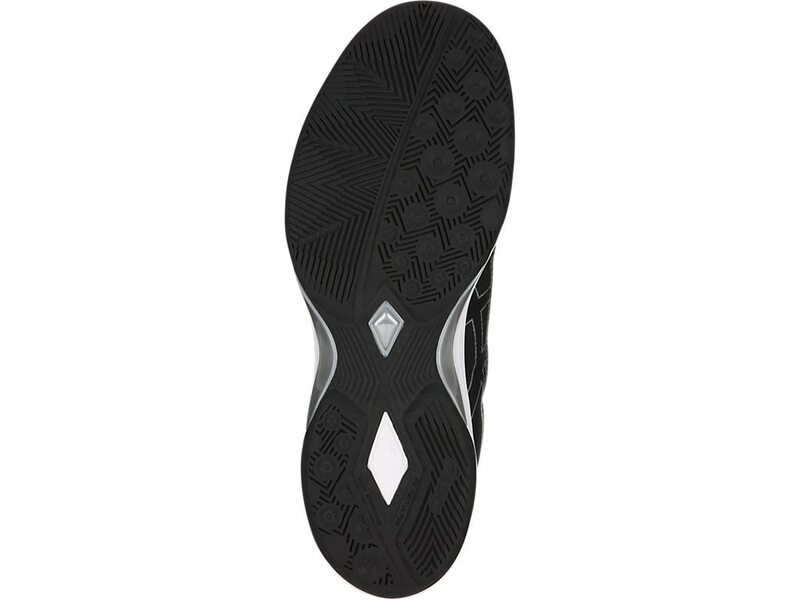 There’s also a NC Rubber outsole that contains more natural rubber content than traditional solid rubber, optimizing traction for quick changes in direction. 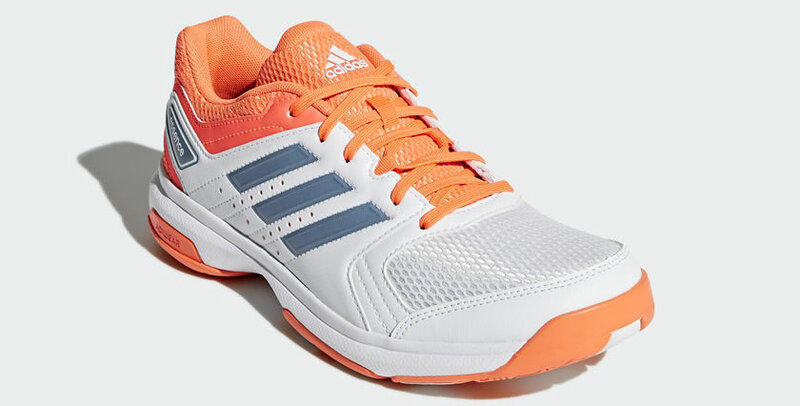 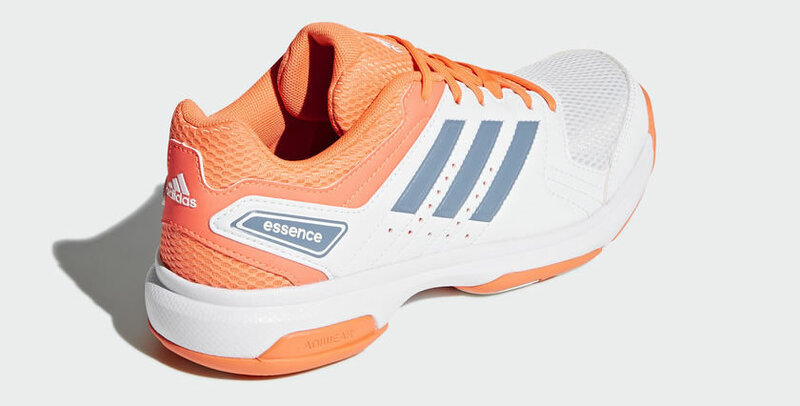 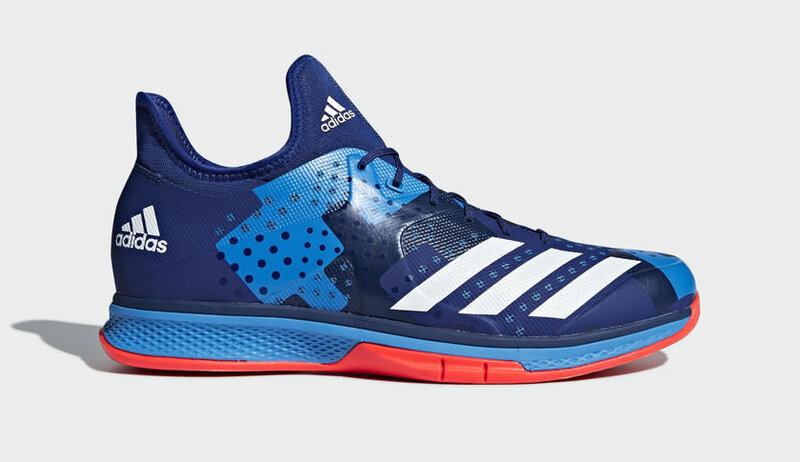 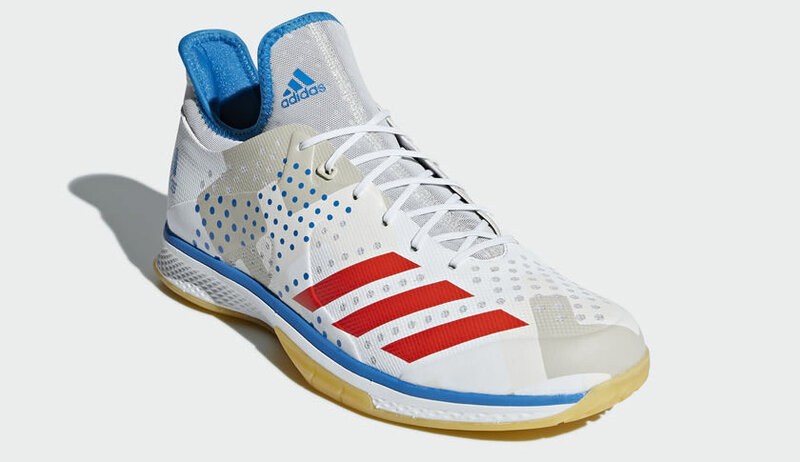 These Adidas mid-cut handball shoes come with Bounce midsole cushioning and Adiprene+ forefoot cushioning that offer plenty of support and cushioning for all those intense matches. 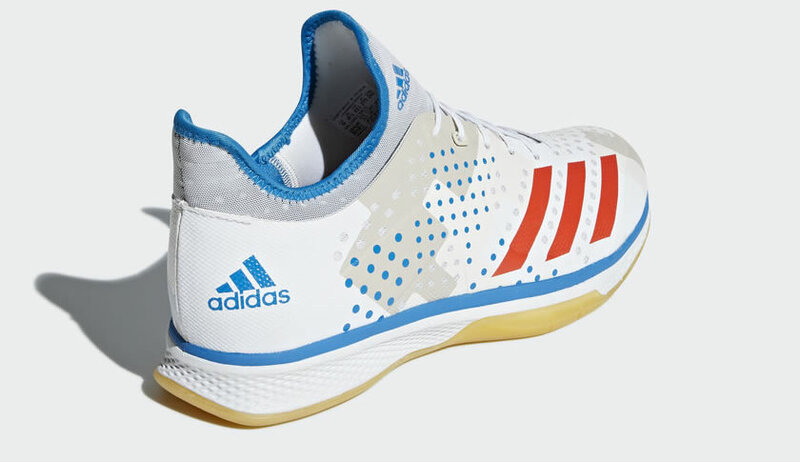 The shoe’s upper ensures lightweight support and a perfect lockdown, while the top-grip rubber outsole gives you efficient grip all over the court. 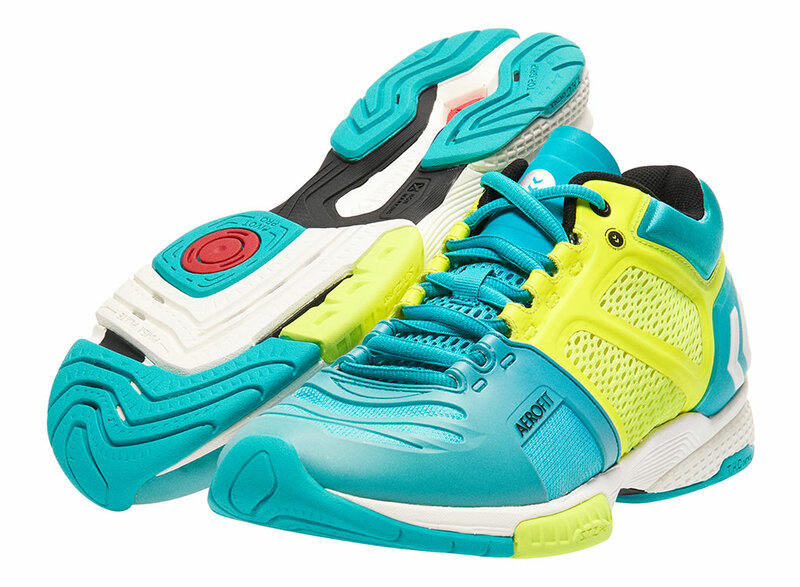 The Aerocharge HB 220 Trophy by Hummel is an indoor handball shoe that flaunts a CPU upper flex and a light mesh that allow the wearer to feel comfortable and look good at the same time. 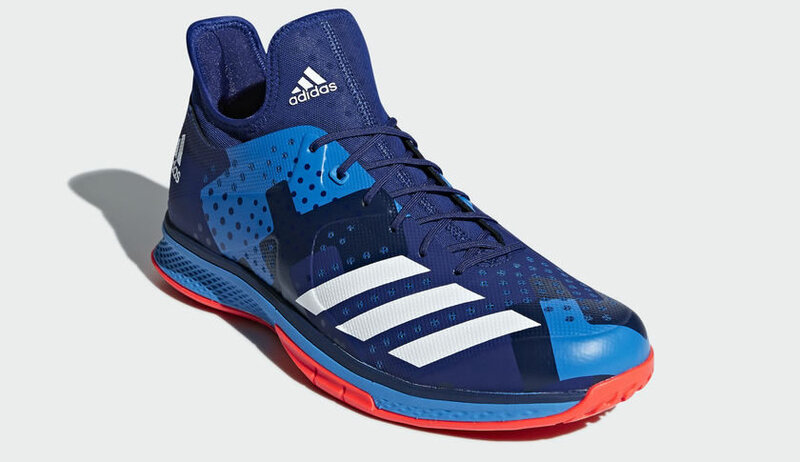 It also boasts a soft Aerotech midsole, a TPU heel counter, and Aerofit technology that offers a sock-like fit around the foot. 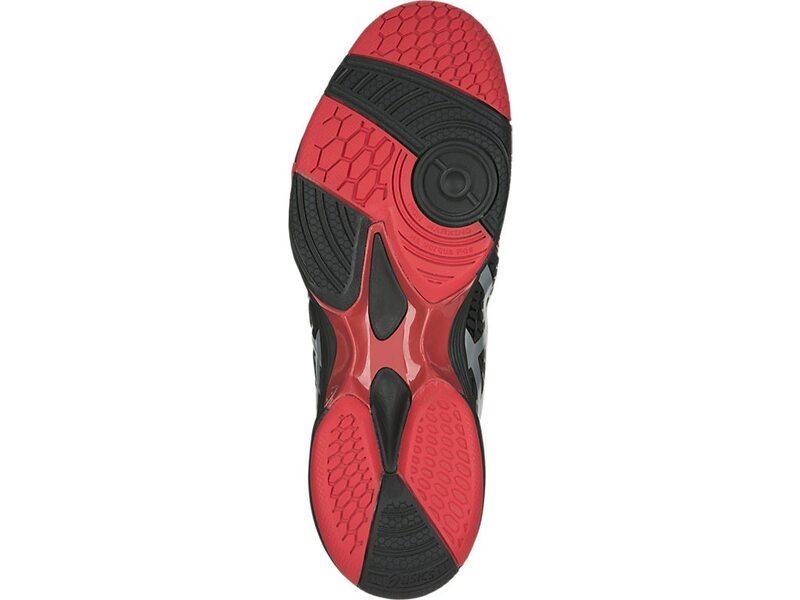 The outsole features a pivot pro and Eva midsole that take care of density and grip. 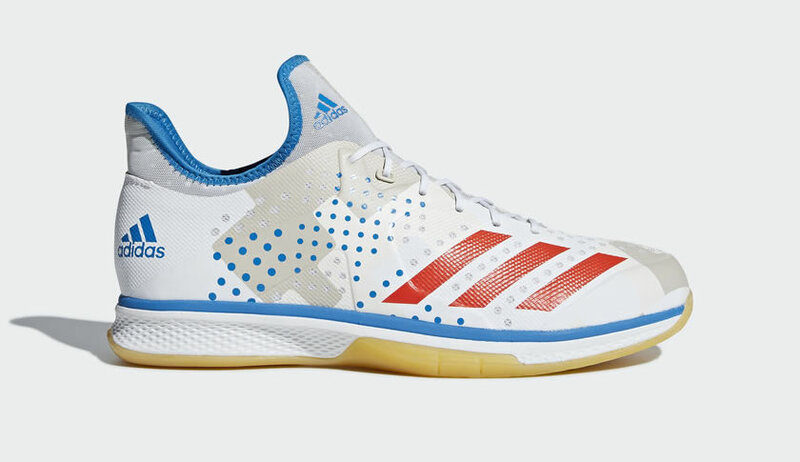 These Adidas’ handball shoes will give you the specific technologies your foot needs to perform it’s best while playing handball. 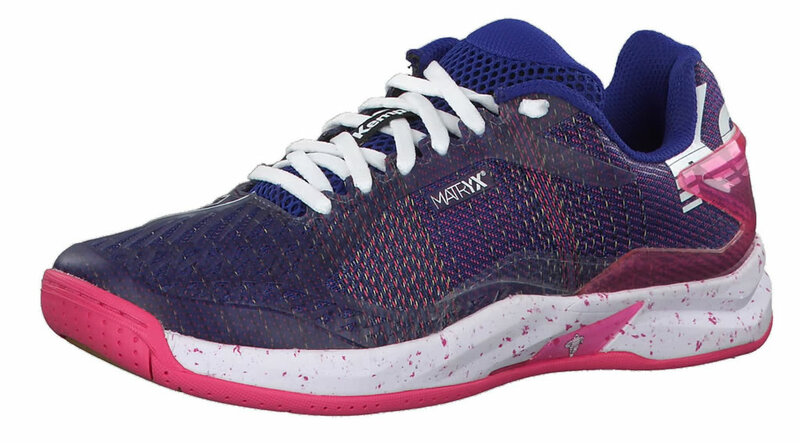 They are constructed with a lightweight, breathable upper that will keep your feet dry during active play. 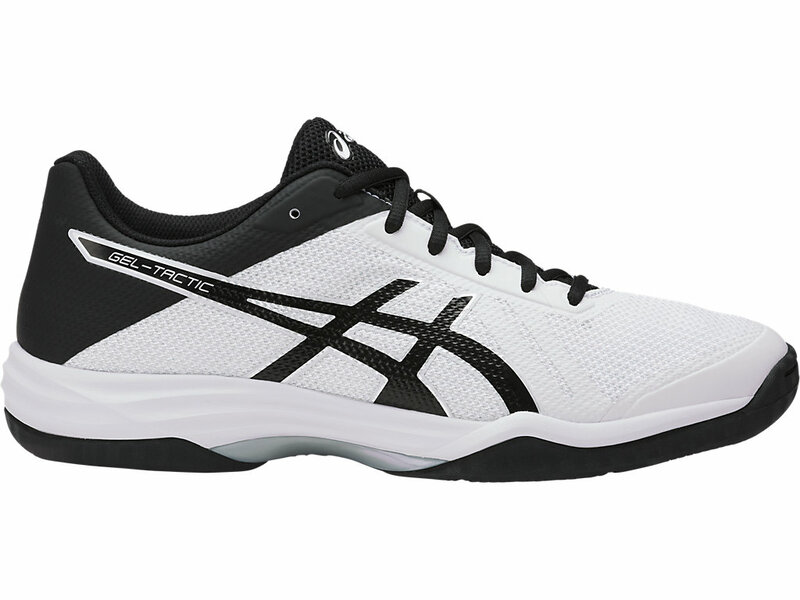 The superior midsole cushioning helps keep your ankles steady throughout the match, while the durable outsole provides excellent traction on the court. 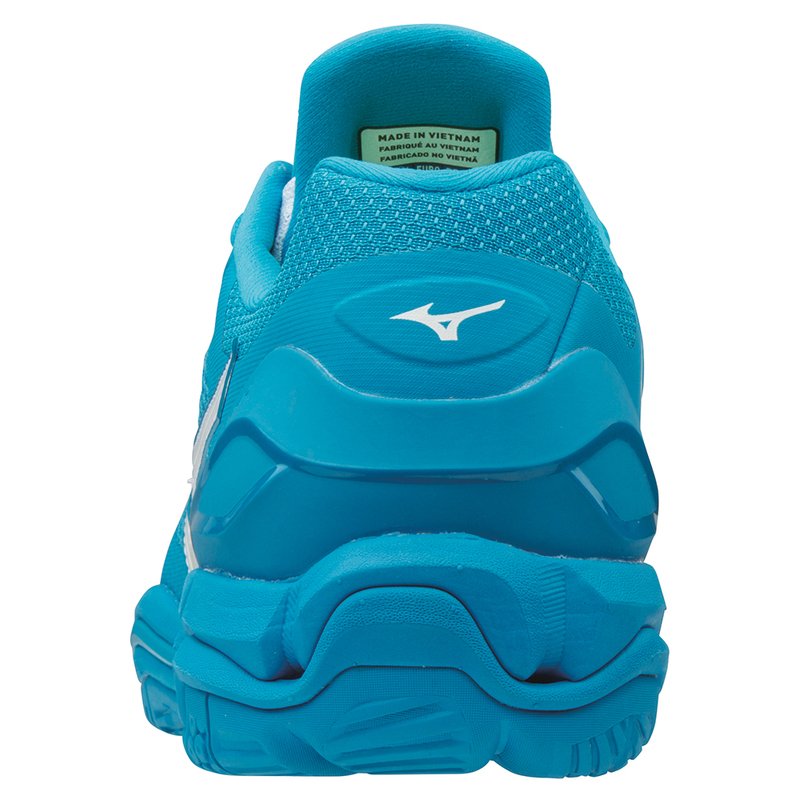 Being one of the Mizuno’s excellent handball shoe, the Wave Stealth V model is built with the best cushioning technology. 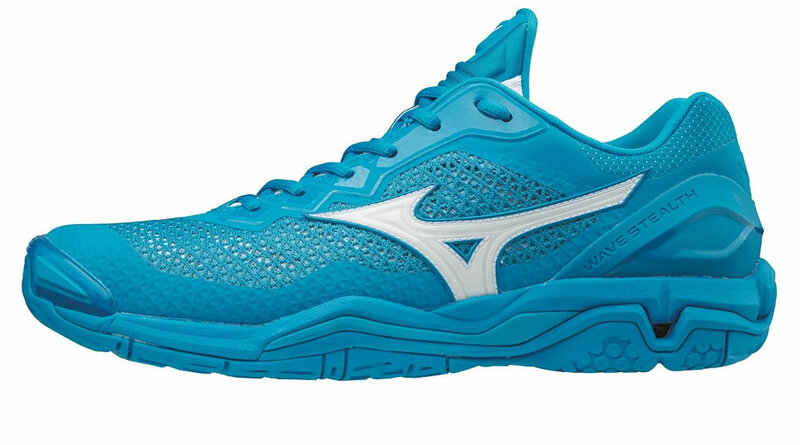 Every aspect of it – from the Mizuno’s Wave technology that delivers stability and lateral support to the PU foil that provides an increased stability – makes it a popular choice for many players. 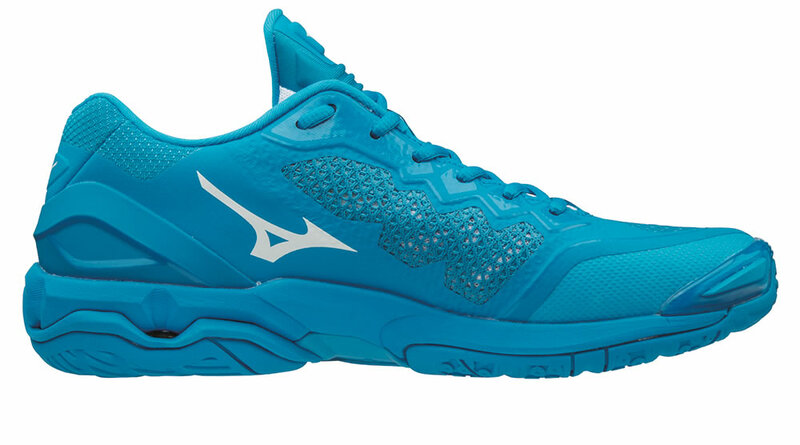 Available in one colorway, this product weights just 320g. 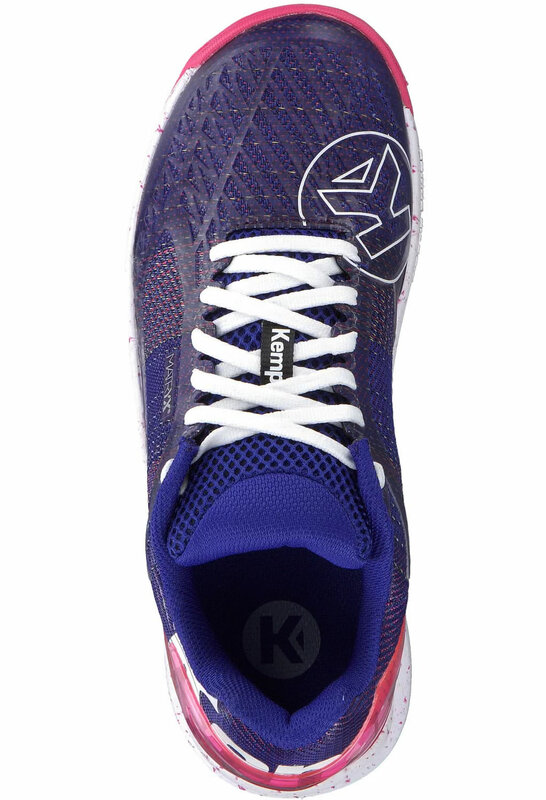 These shoes feature a seamless mesh upper that provides the maximum amount of ventilation while reducing irritation and friction. 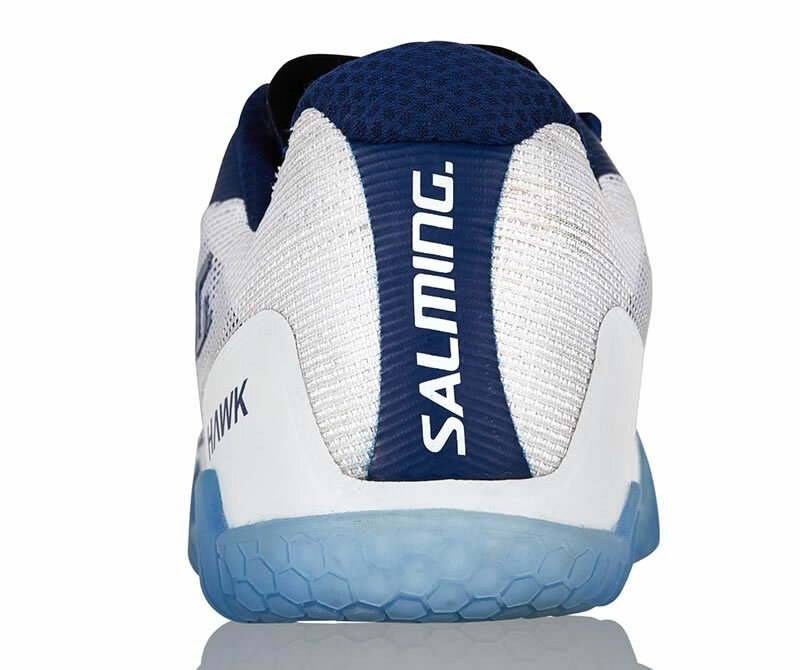 They also incorporate the Trusstic System technology, as well as Forefoot and Rearfoot GEL technology cushioning system, which ensures comfort. 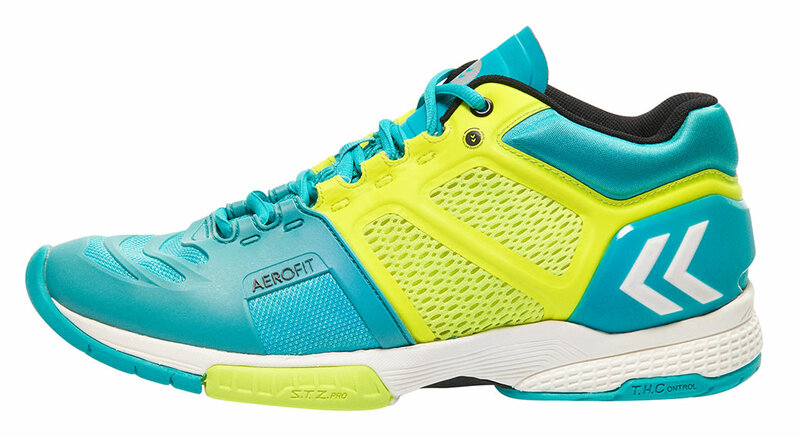 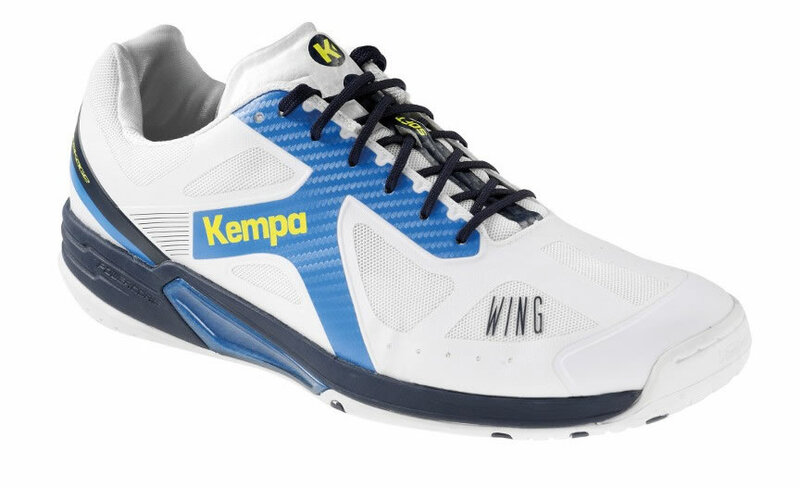 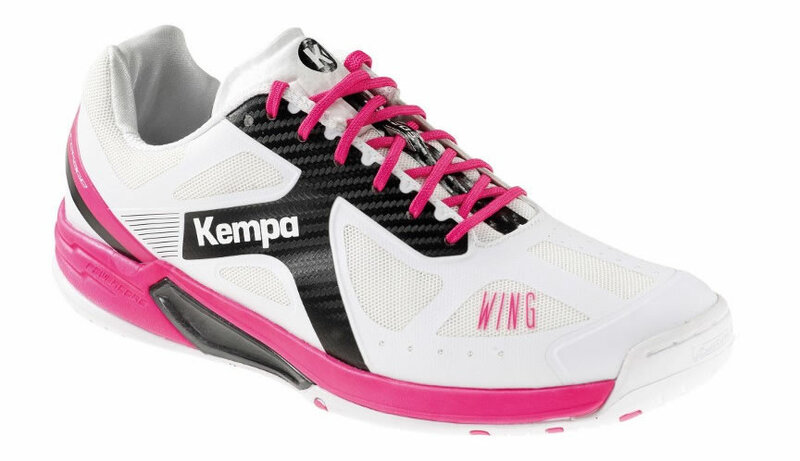 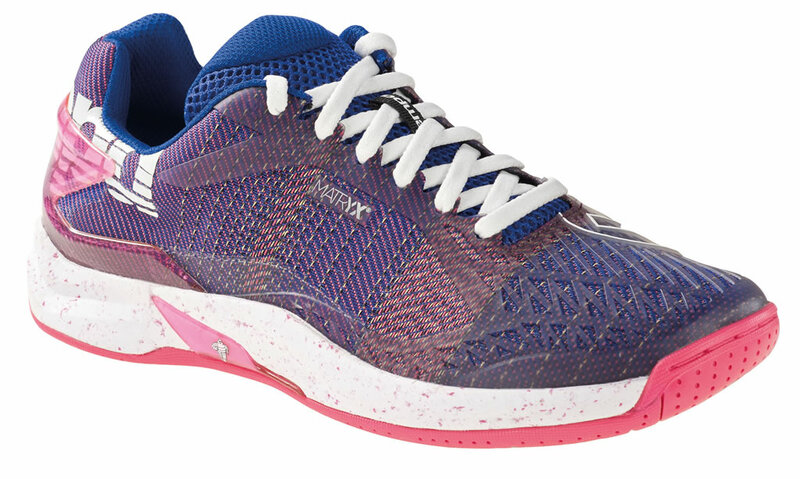 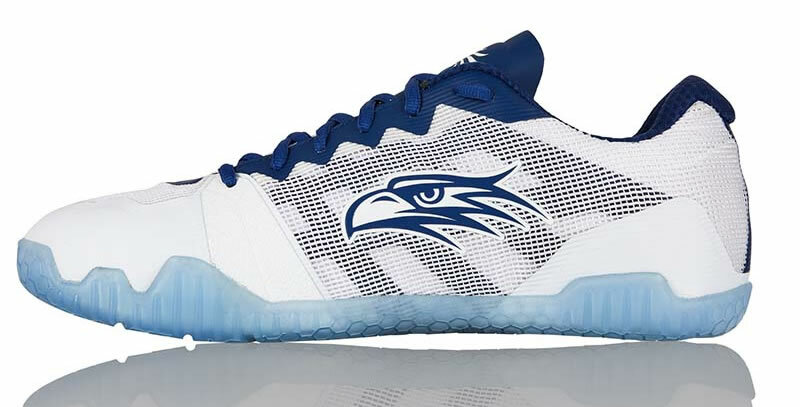 The Kempa Wing Lite handball shoes have it all: comfort, performance, and style. 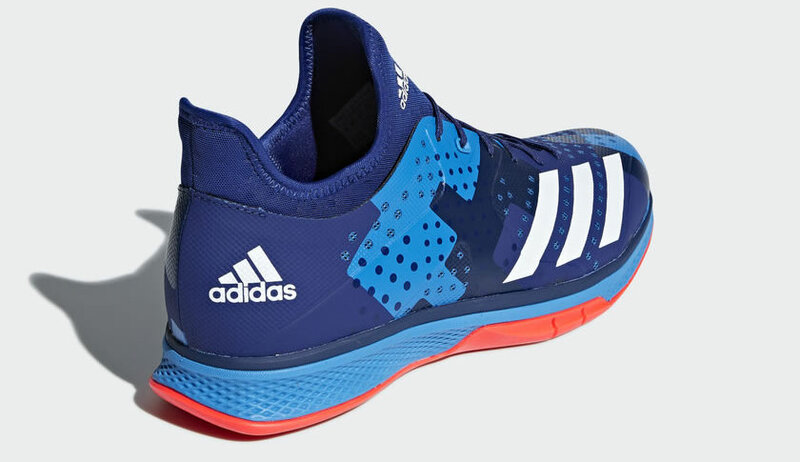 These shoes contain excellent features such as Power Core that provides comfort and optimal power transmission, Lite Kage that consists of an anatomic moulded heel counter for an improved stability, and HoneyComp profile that offers multidirectional grip. 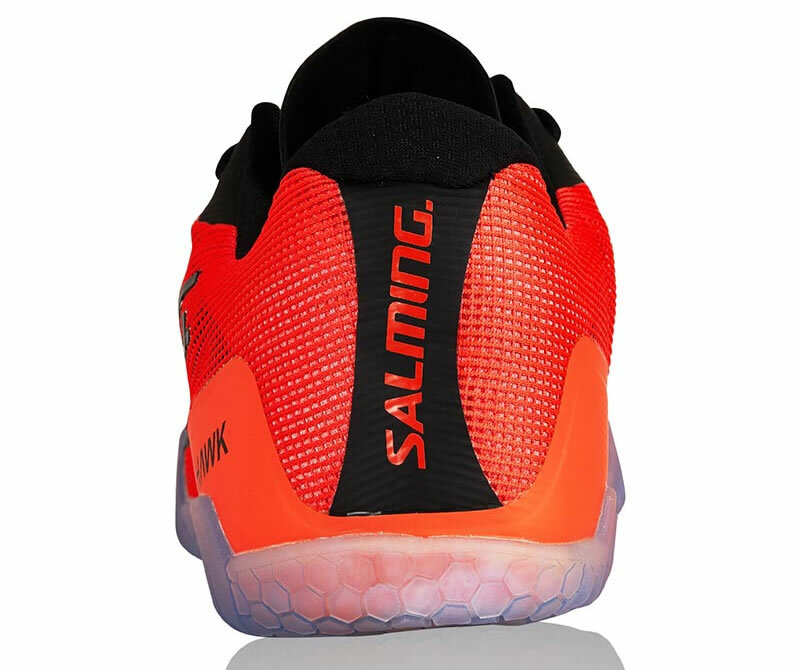 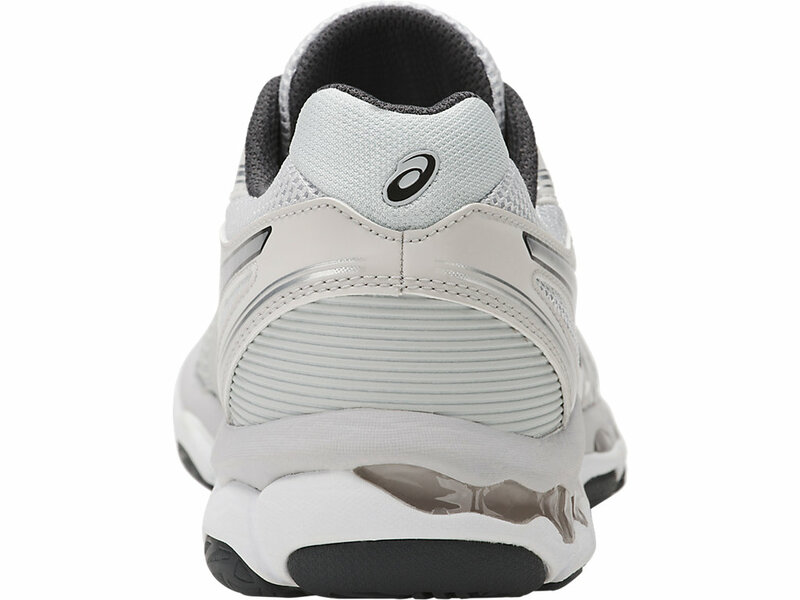 Other important details include microfibre-tounge with anti-slide lamination for highest comfort, light and flexible upper material with ventilation zones, and TPU-midfoot torsion element.